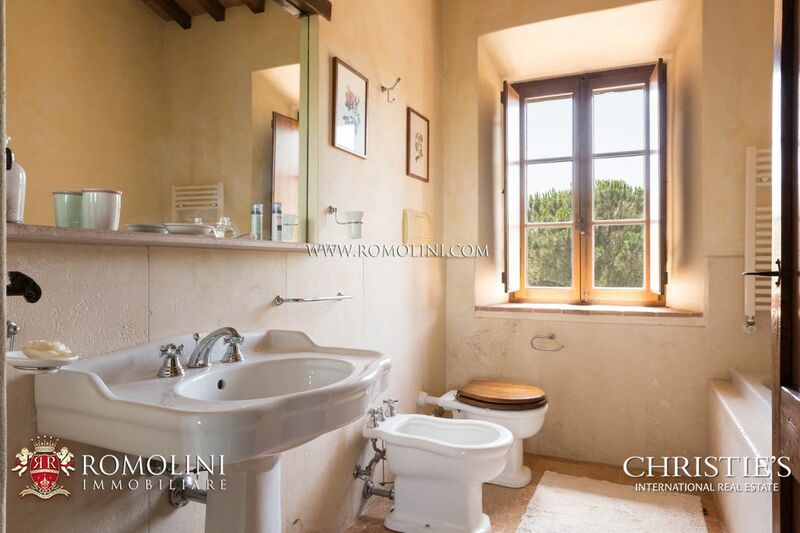 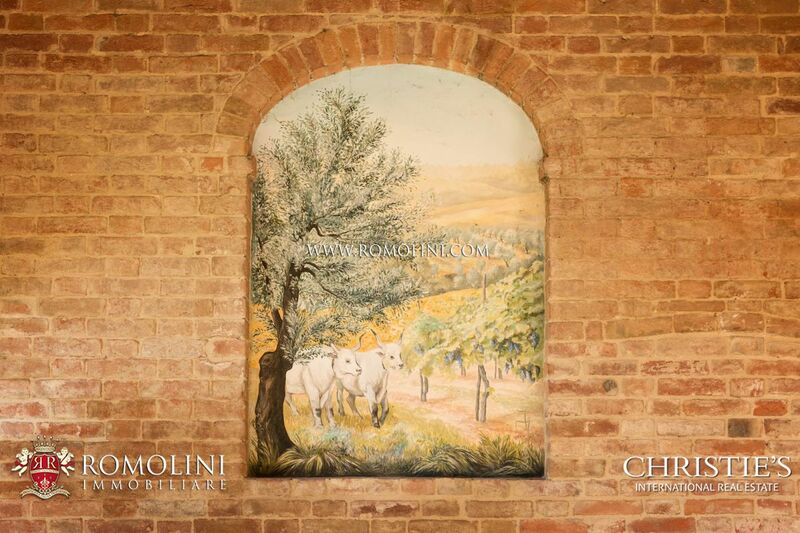 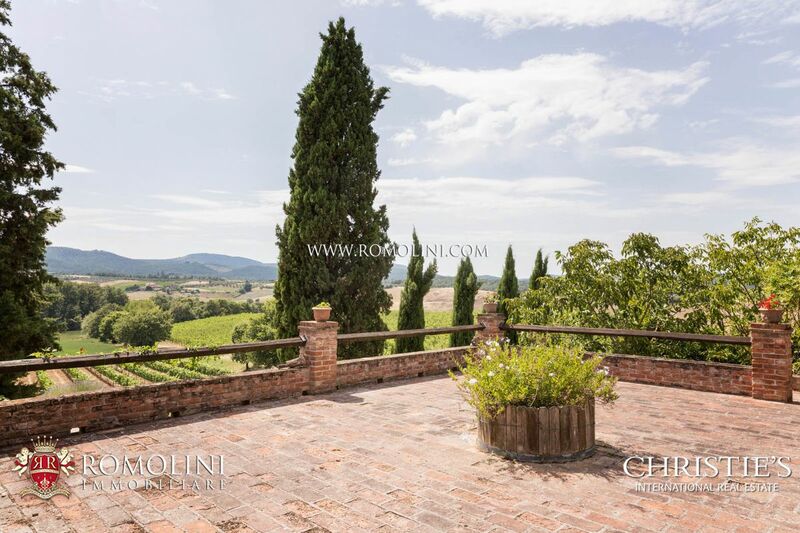 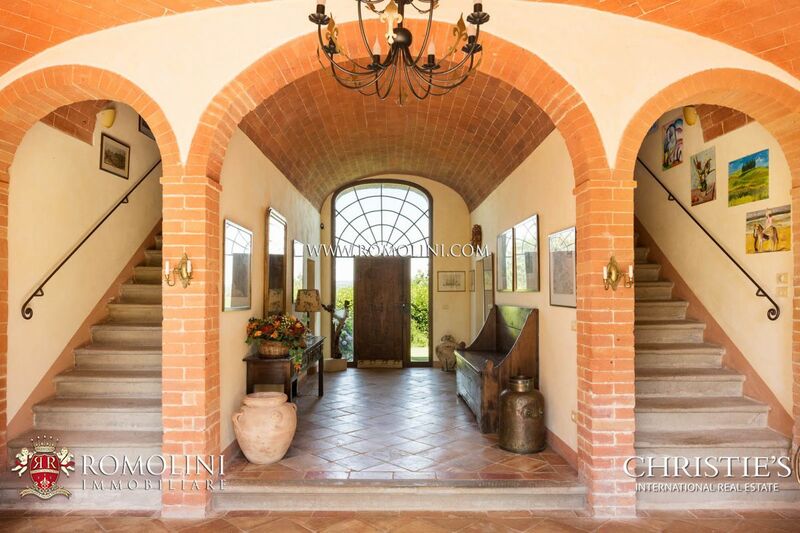 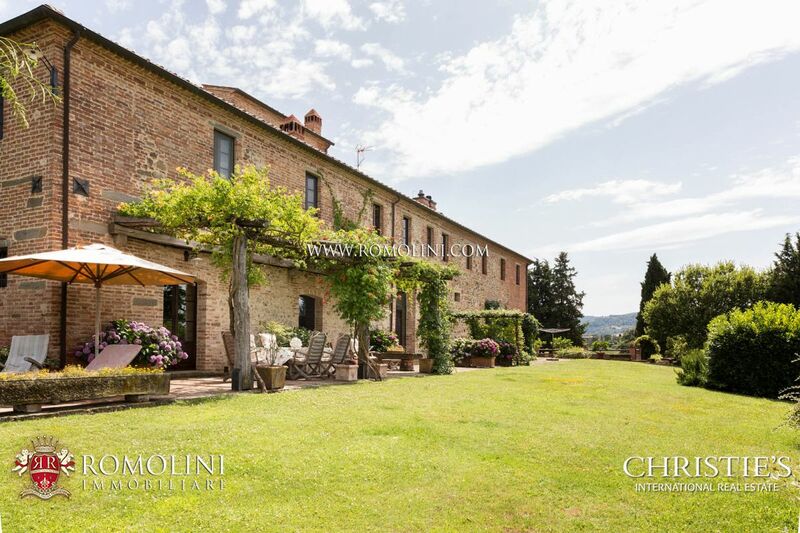 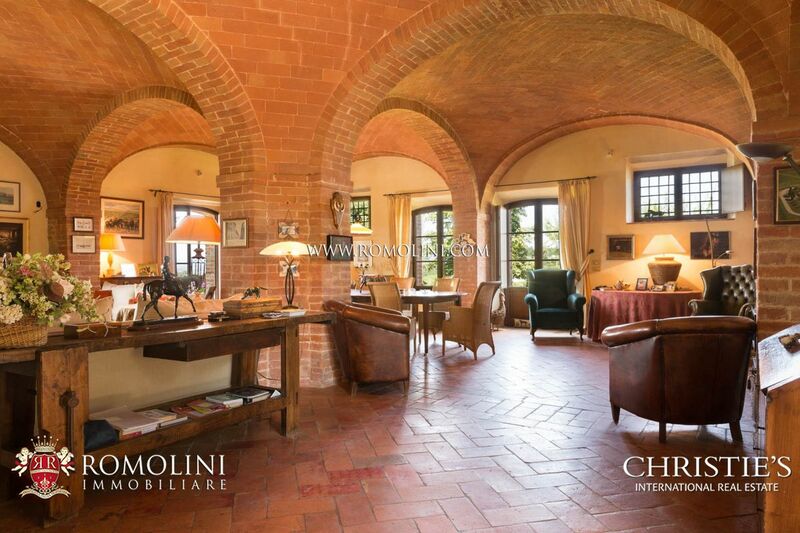 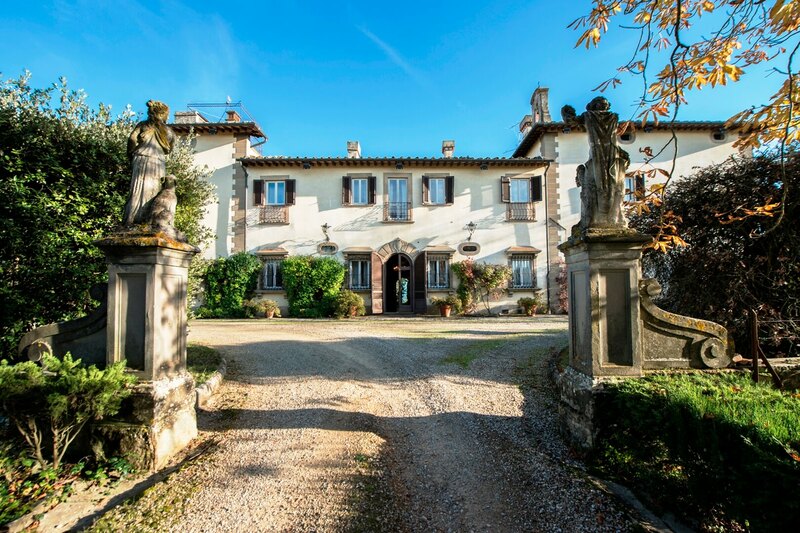 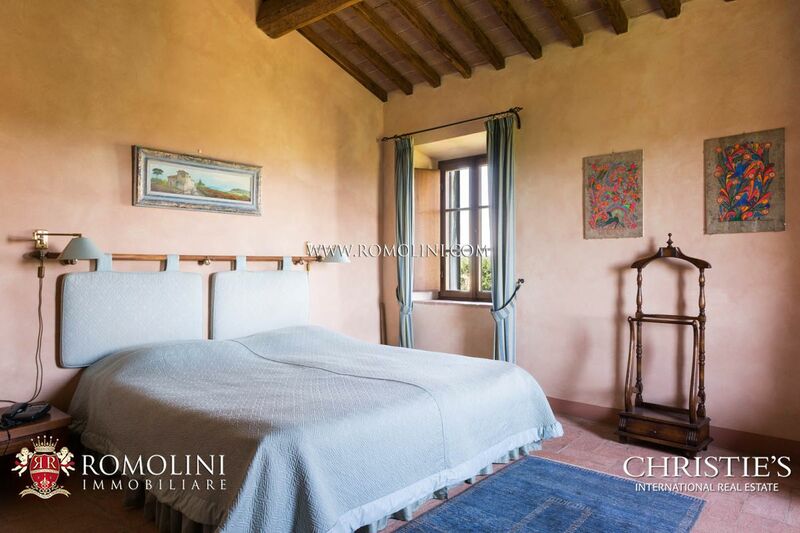 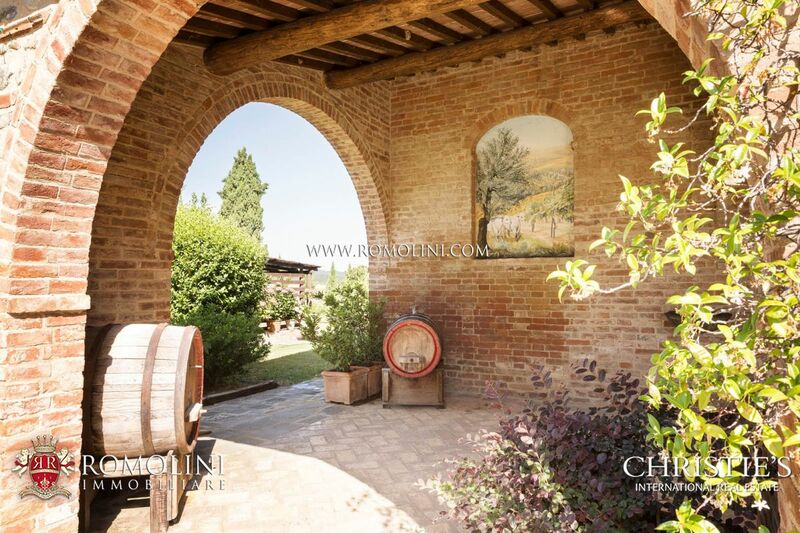 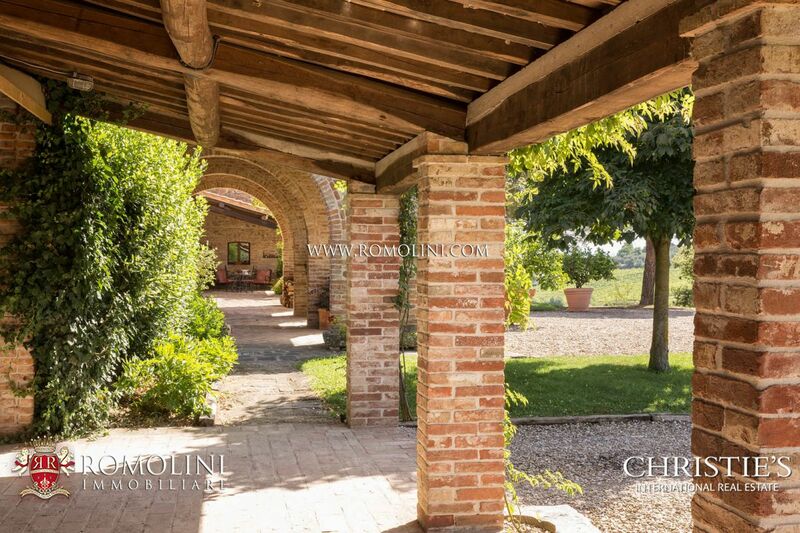 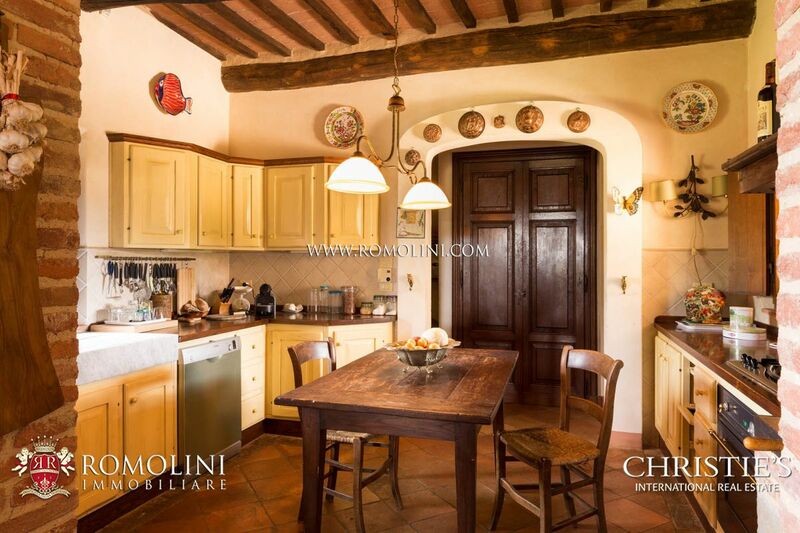 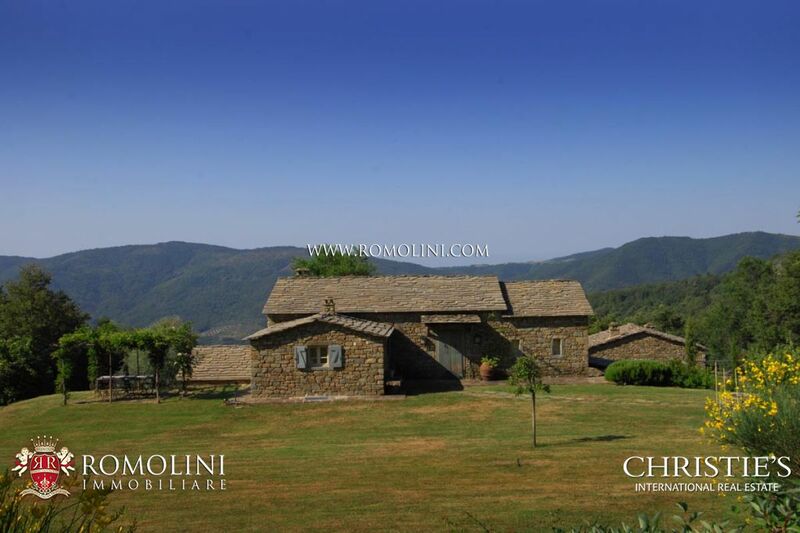 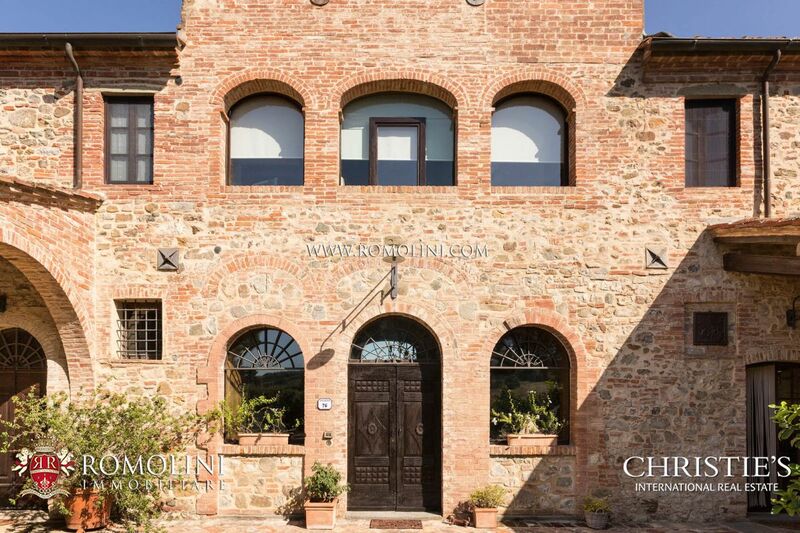 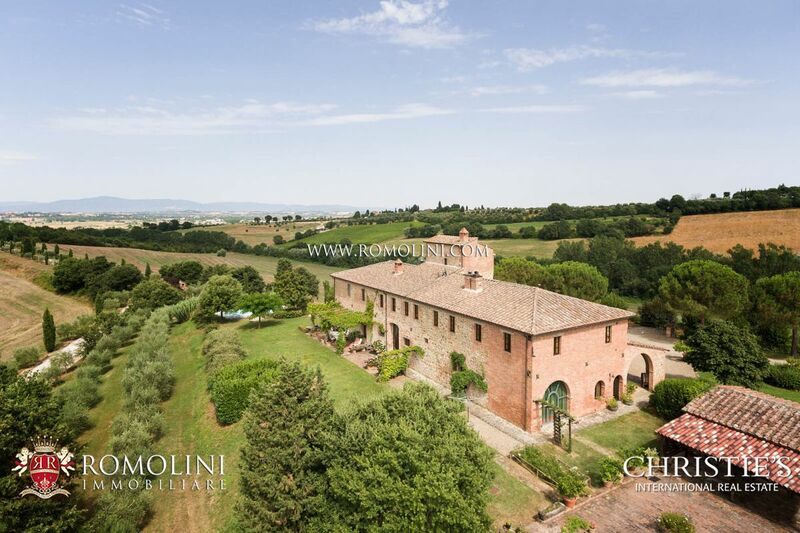 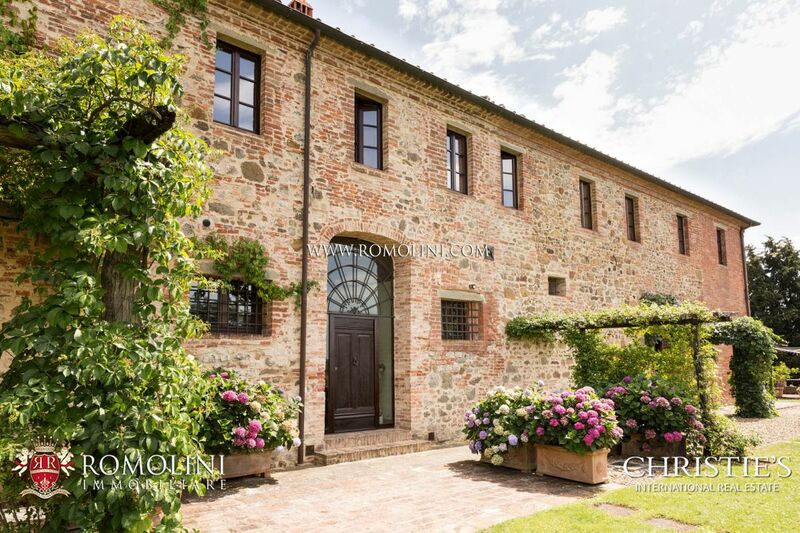 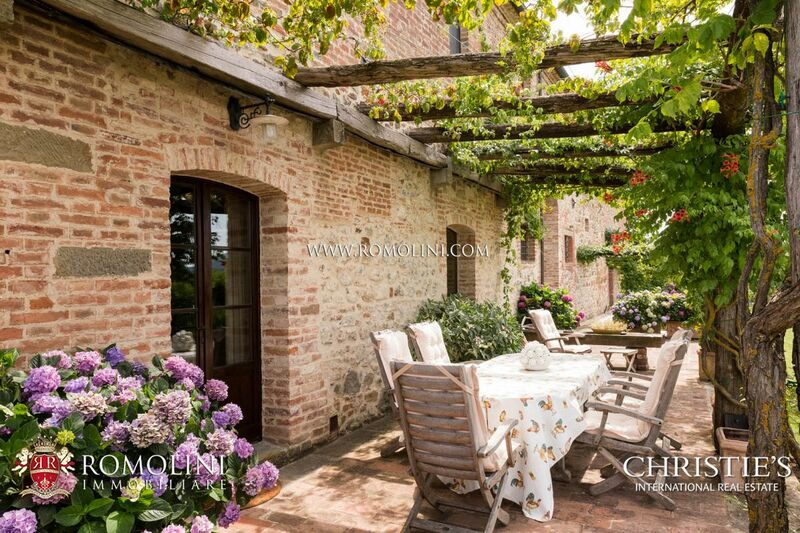 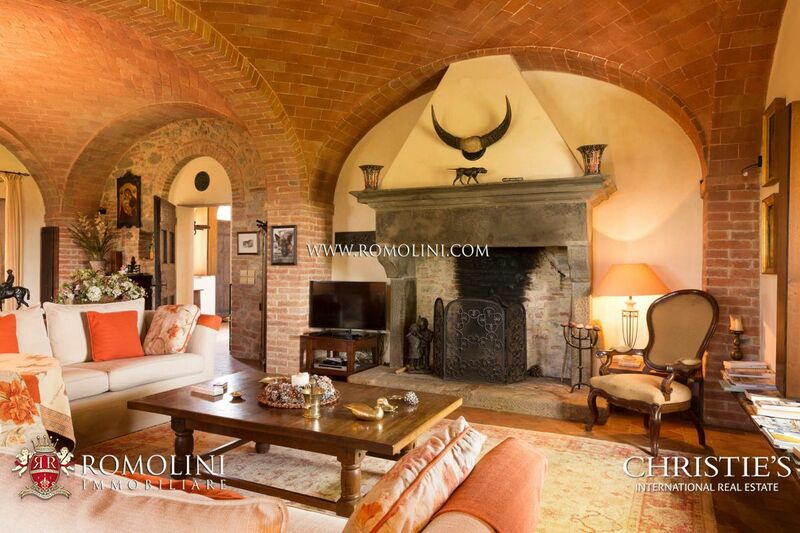 In a wonderful panoramic location on the Sienese hills, 19th Century country house with vineyard, pool and land. 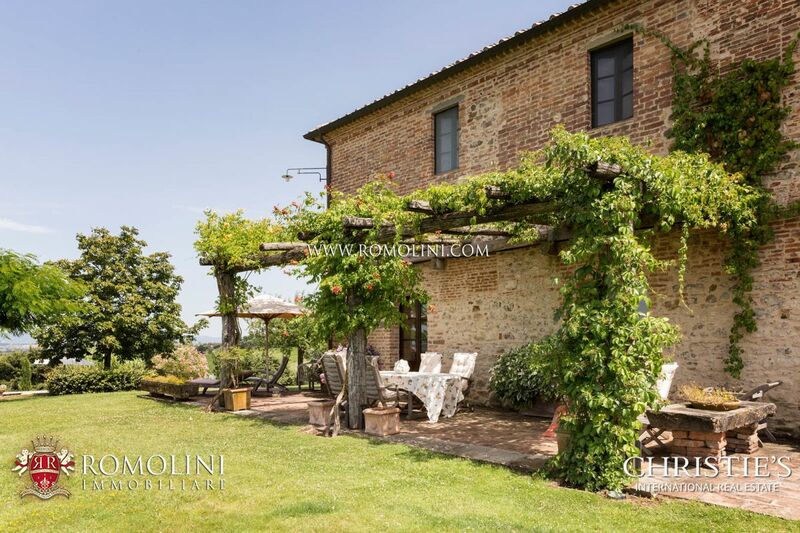 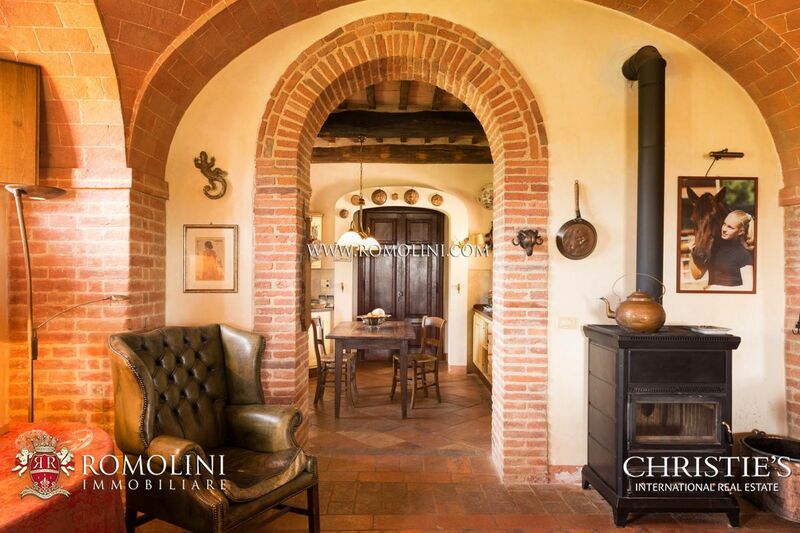 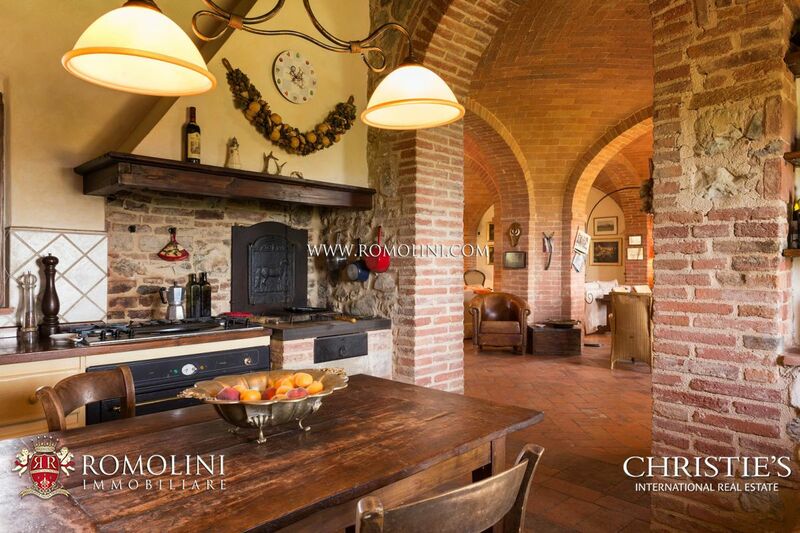 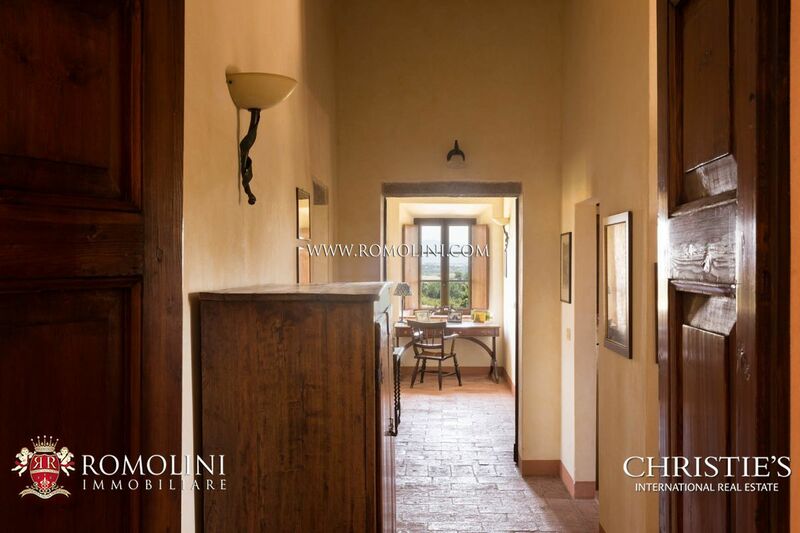 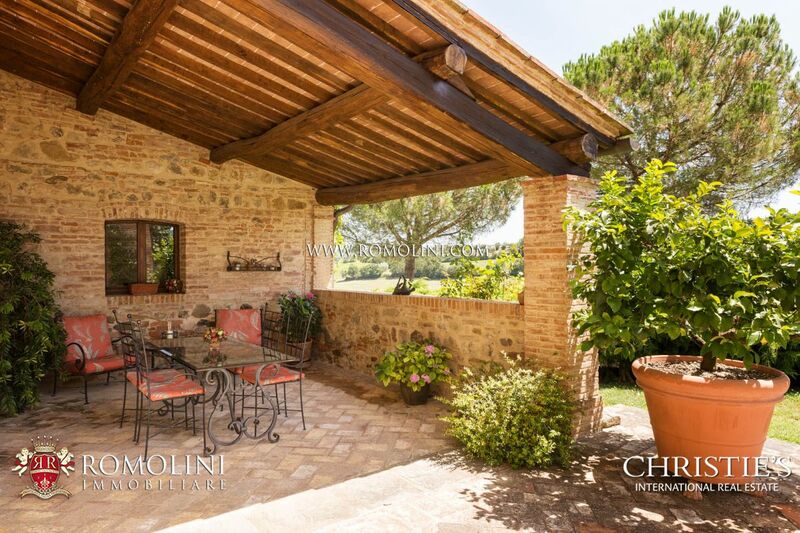 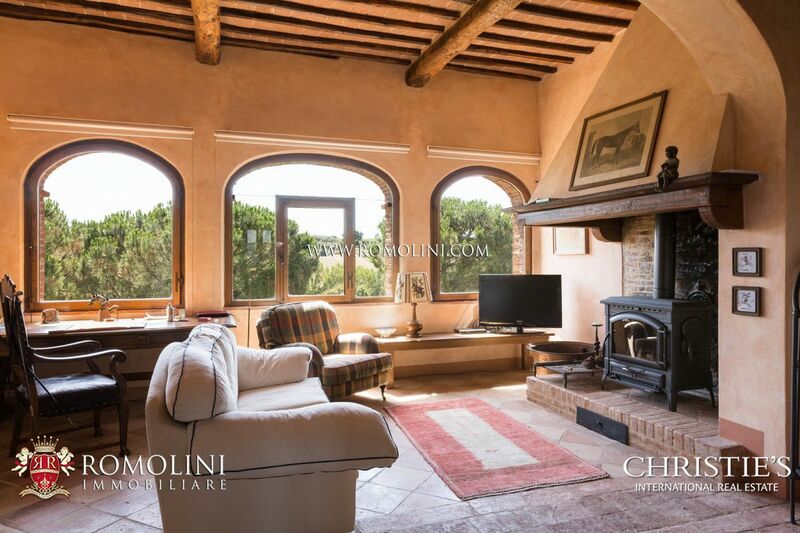 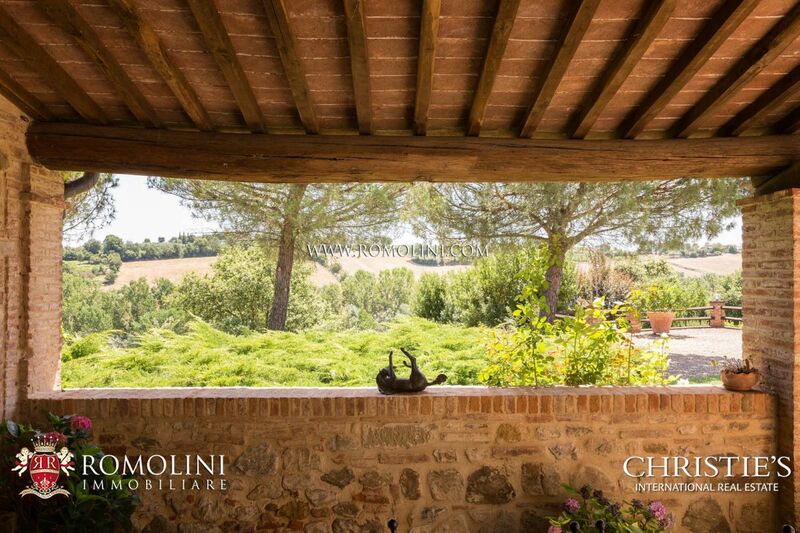 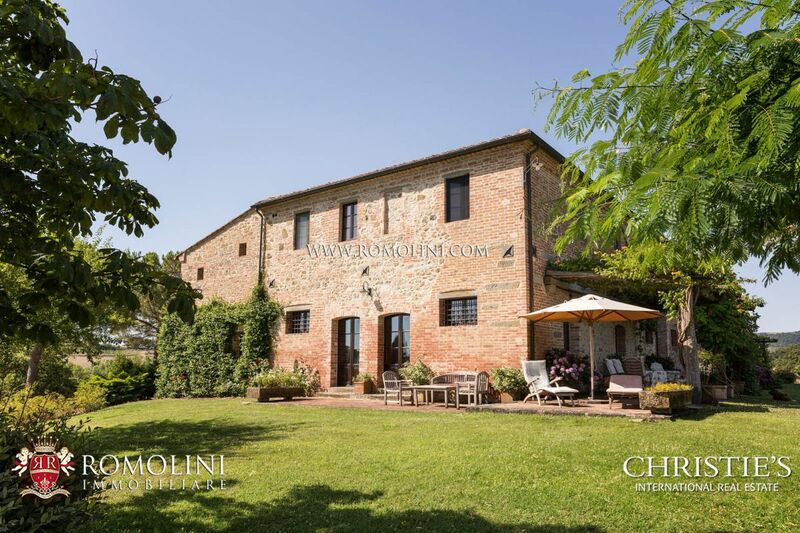 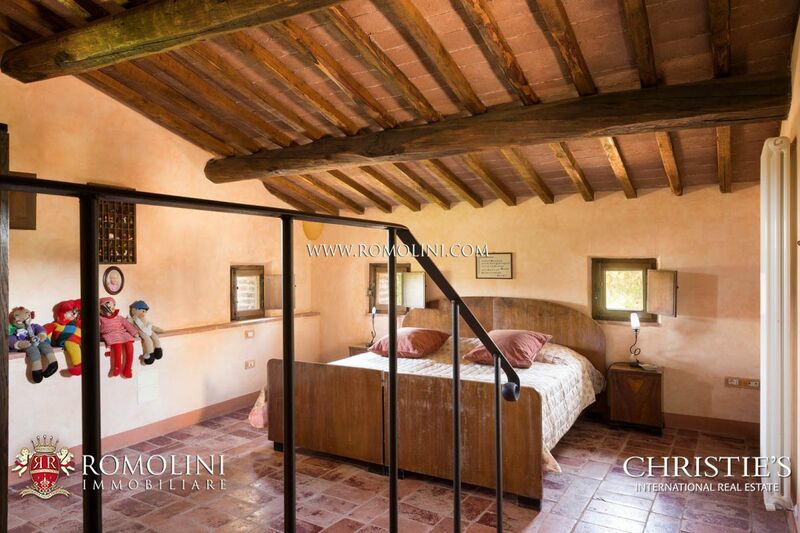 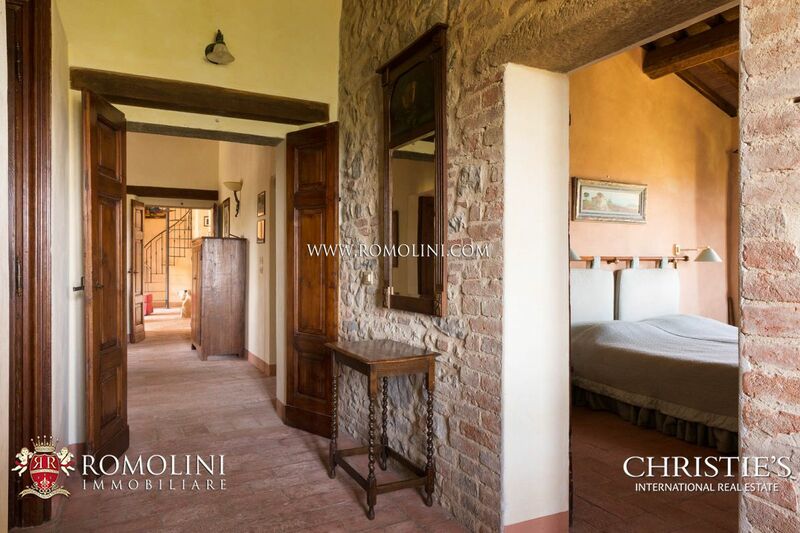 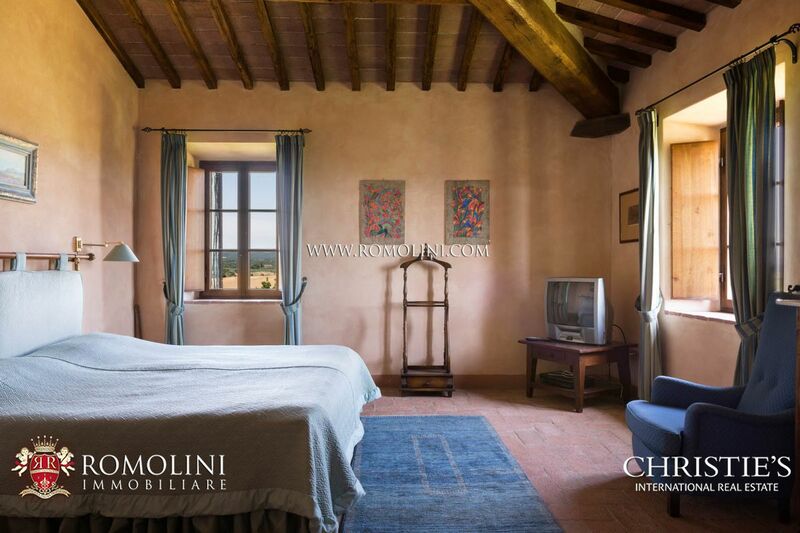 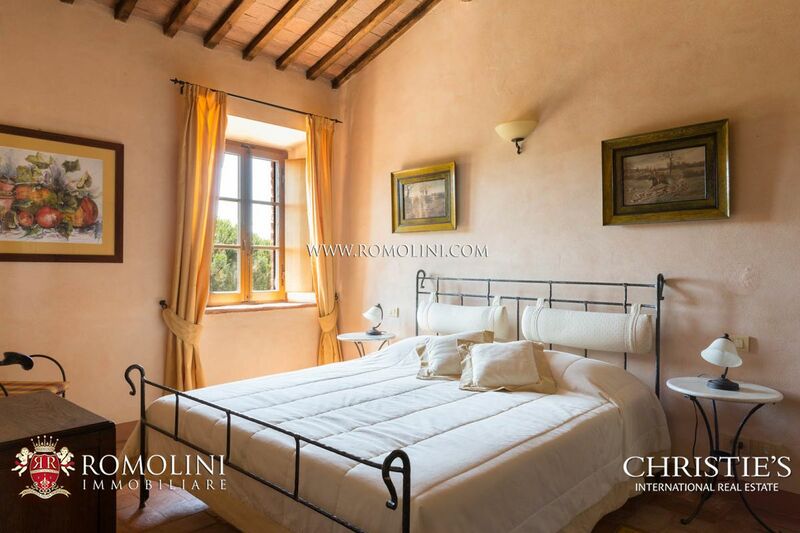 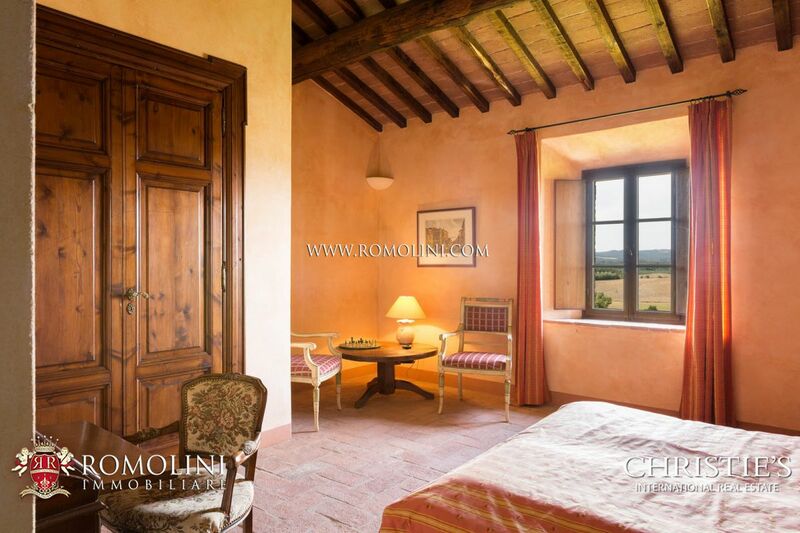 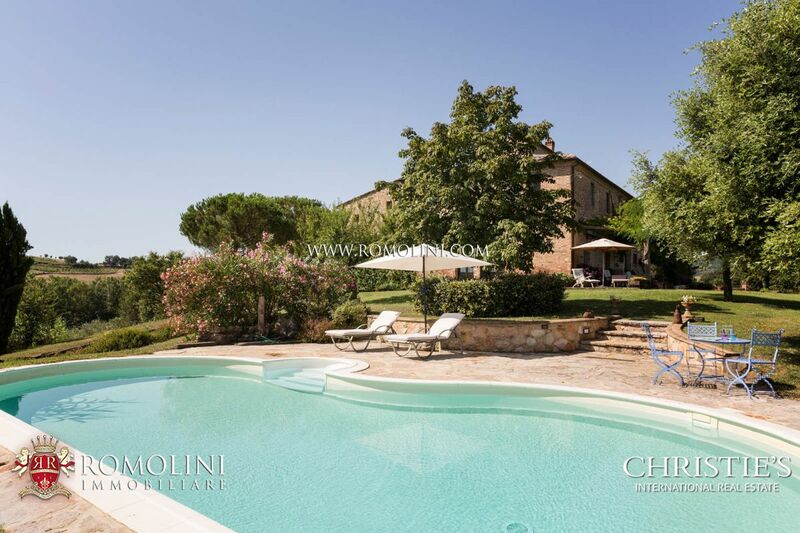 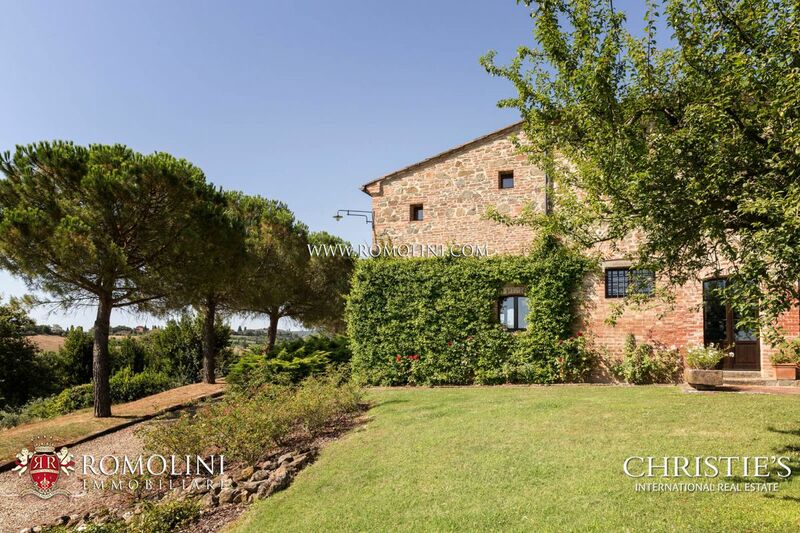 A short distance from Torrita di Siena, this rural country house surrounded by fields is ideal for those who want to live a quiet and relaxed existence without giving up those services a city can offer. 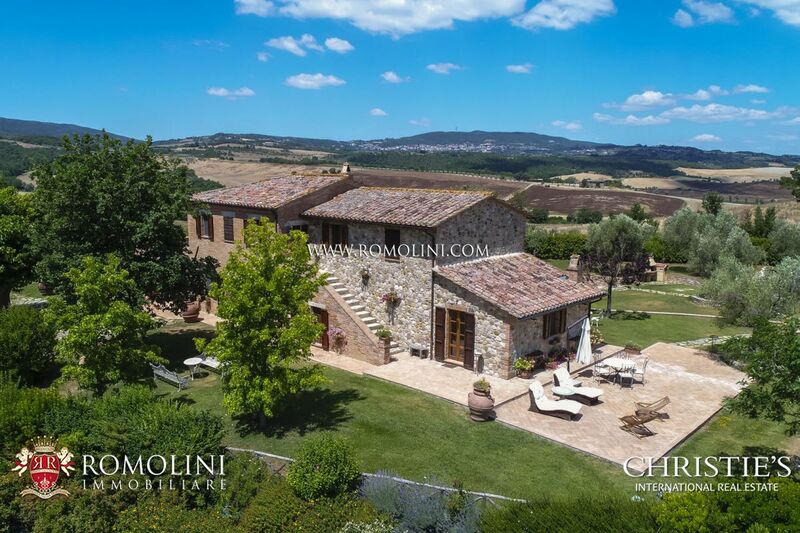 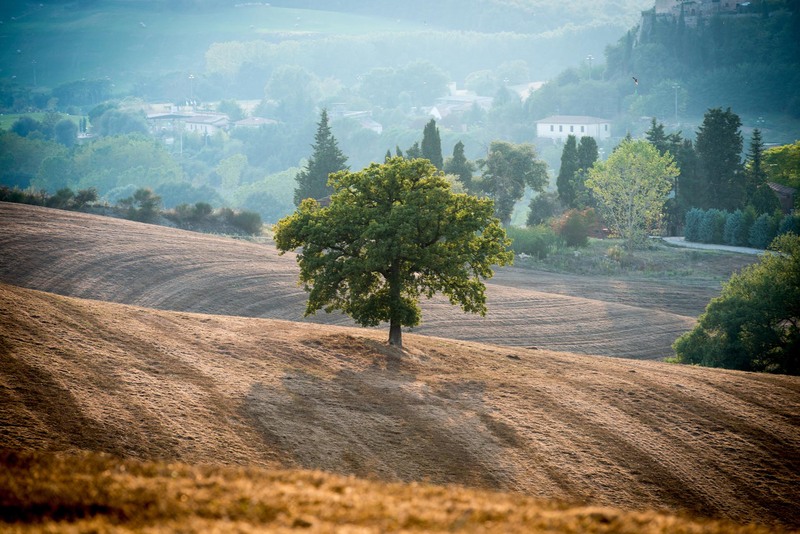 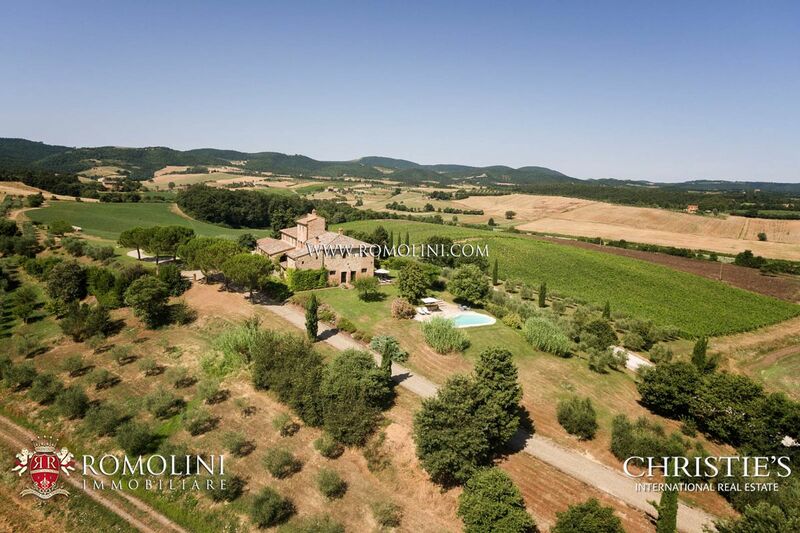 The closest town and landmark is Torrita di Siena (3km; 5’) but the property is located pretty close to the most beautiful cities of Tuscany such as the papal Pienza (19km; 25’), the Etruscan Cortona (34km; 35’), the medieval Siena (52km; 50’) and the Renaissance Florence (105km; 1h 20’). 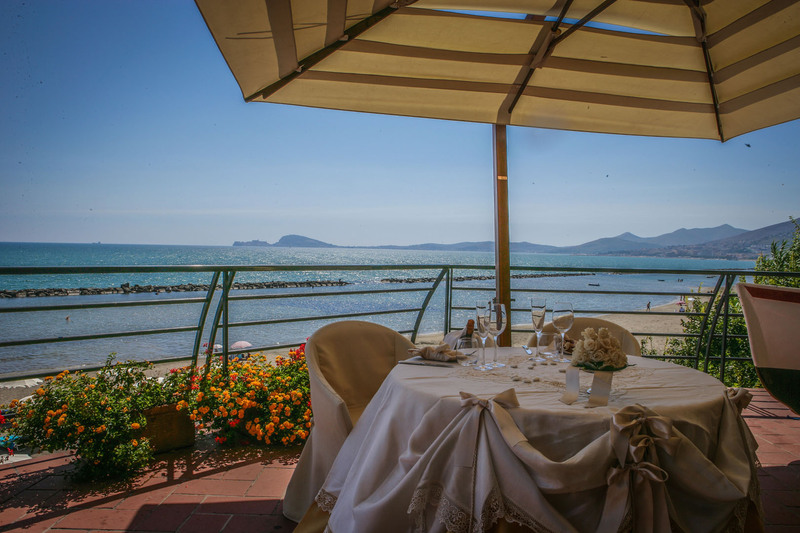 And if you are in the mood for the seaside, Viareggio is not too far (203km; 2h 15’). 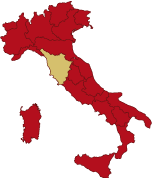 Useful airports are Perugia Sant’Egidio (77km; 55’), Firenze Peretola (123km; 1h 20’), Pisa Galilei (183km; 2h), Bologna Marconi (205km; 2h), Roma Ciampino (205km; 2h) and Roma Fiumicino (220km; 2h). 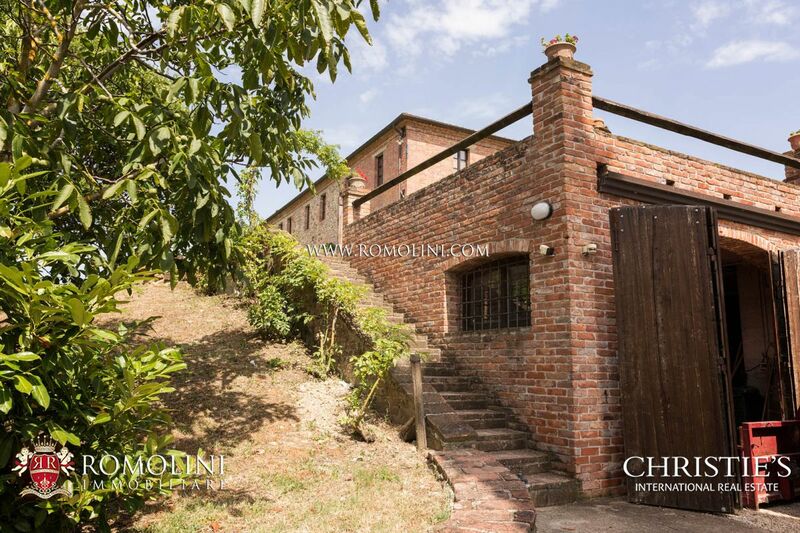 The property is made up of two buildings. 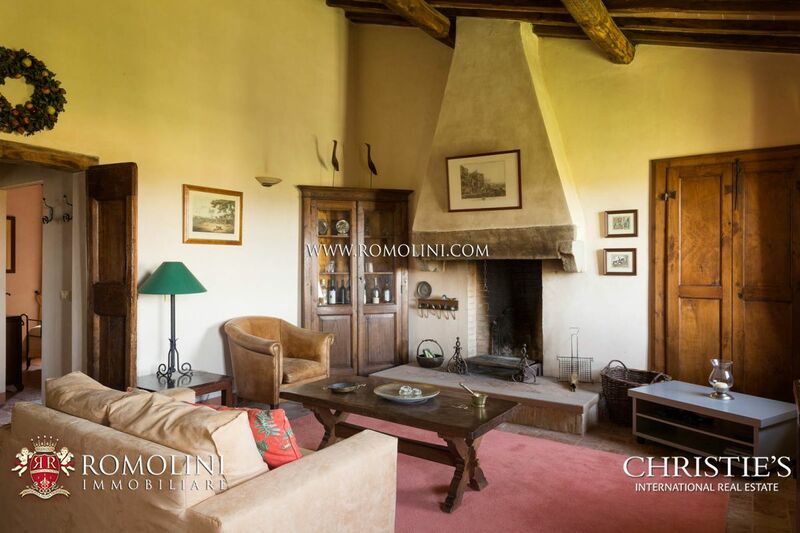 - First floor: living room with fireplace, bathroom, bedroom and kitchen (here there is a closed door to the janitor’s apartment). 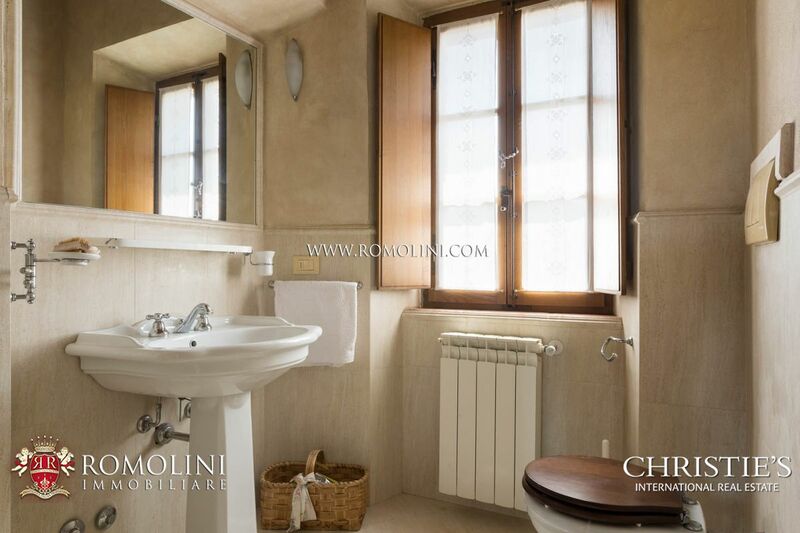 - First floor: kitchen, living room and bathroom. 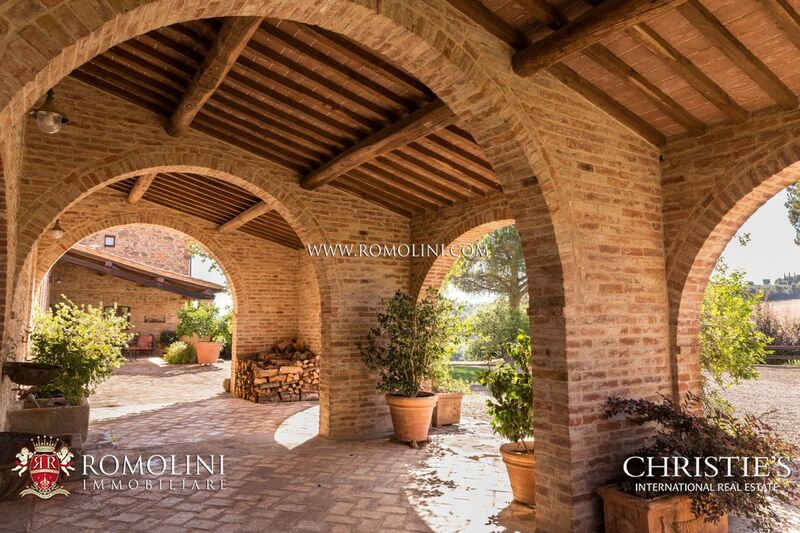 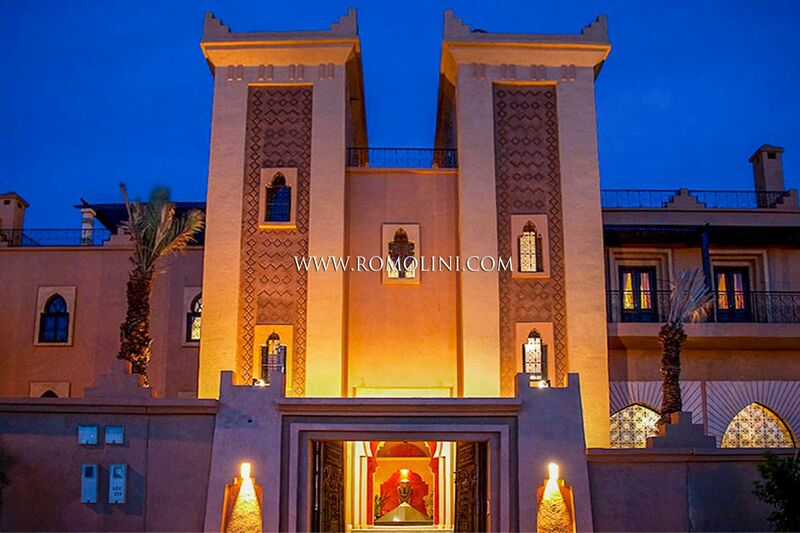 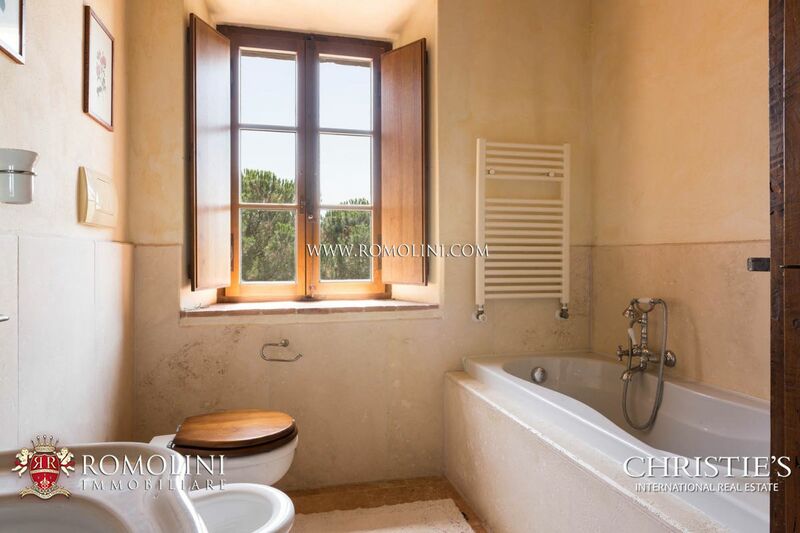 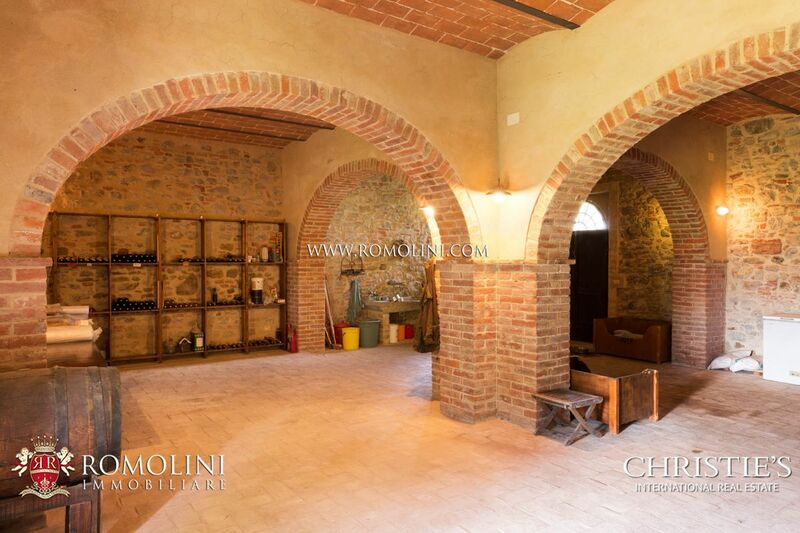 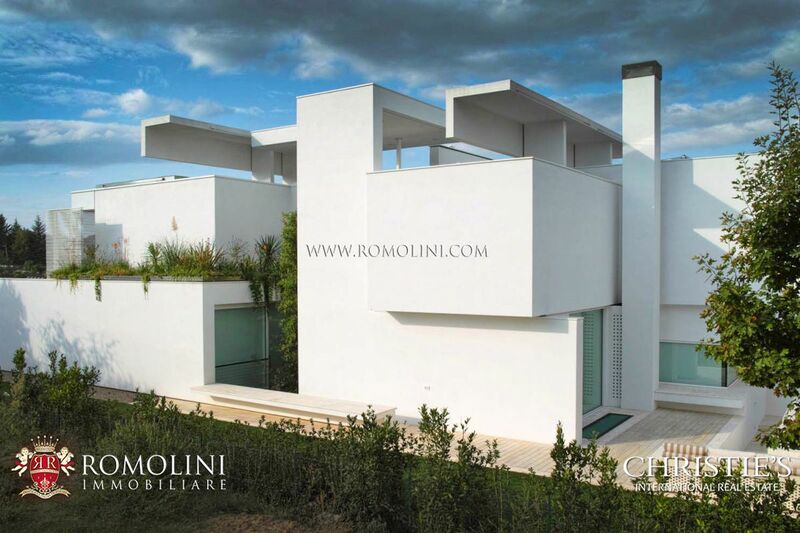 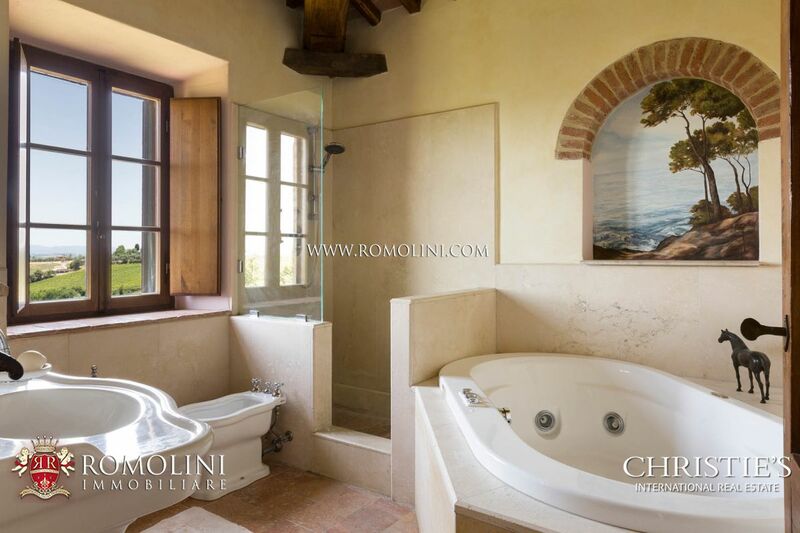 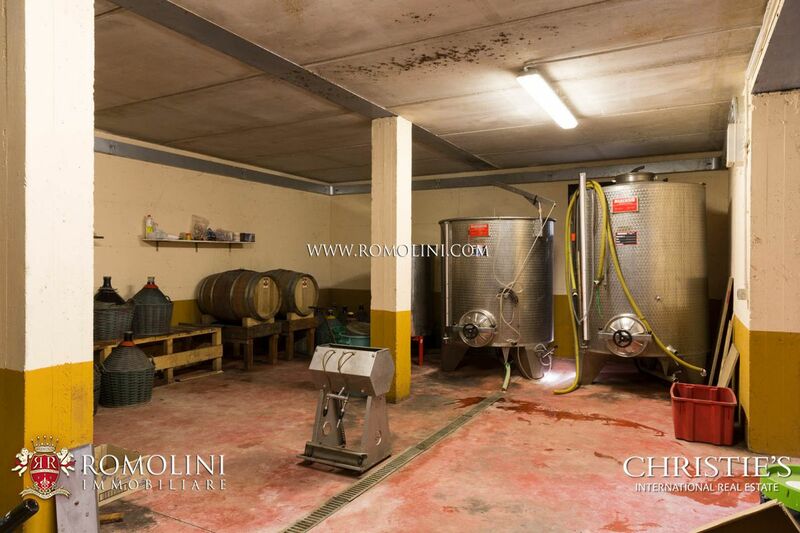 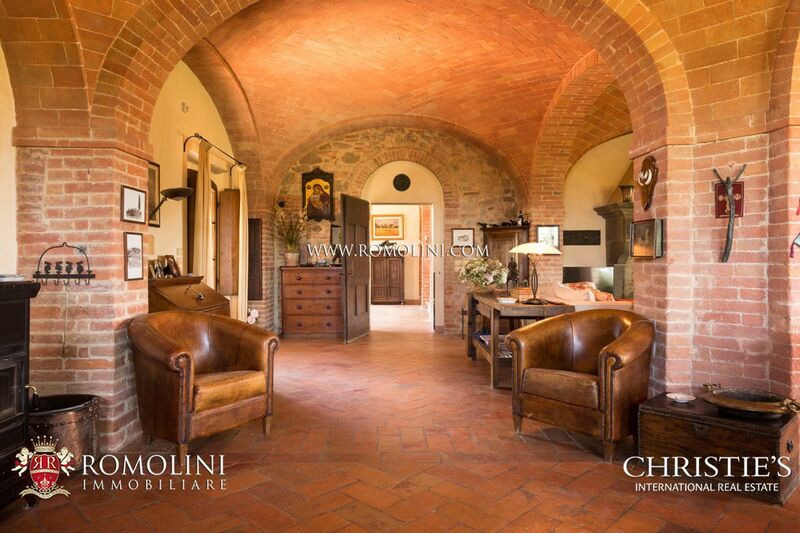 The house is fitted with a wine cellar (200 sqm; 2,142 sqft) associated to the 2.5 hectares (6 acres) vineyard. 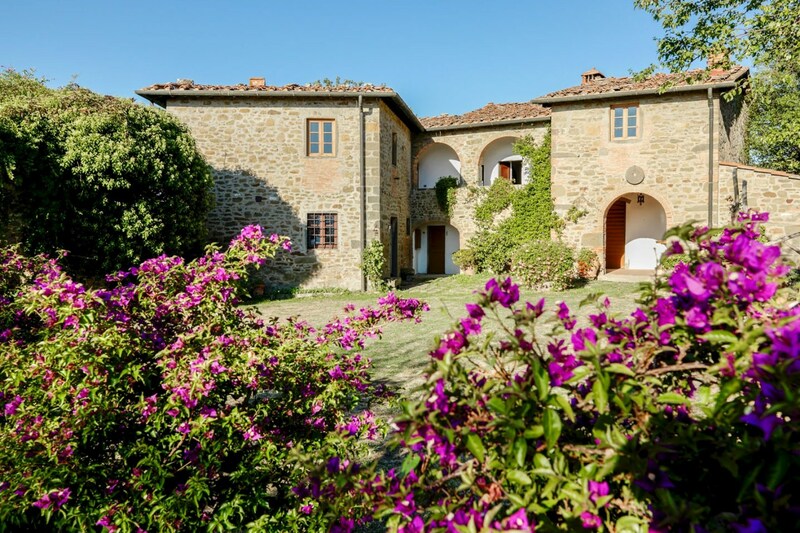 The country house, dating back to the second half of the 19th Century, has been finely restored taking care of preserving those unique characteristics. 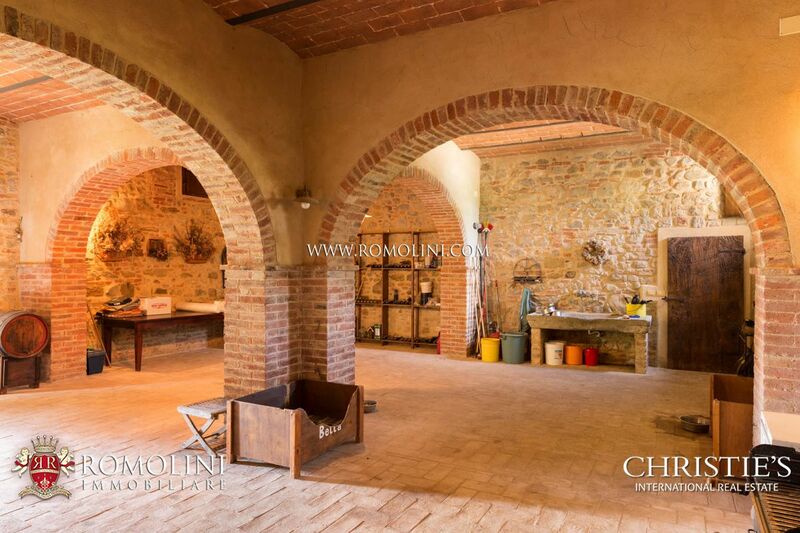 The building is externally made of stone and bricks, while on the inside there are large rooms covered with mirror vaults and wooden beams. 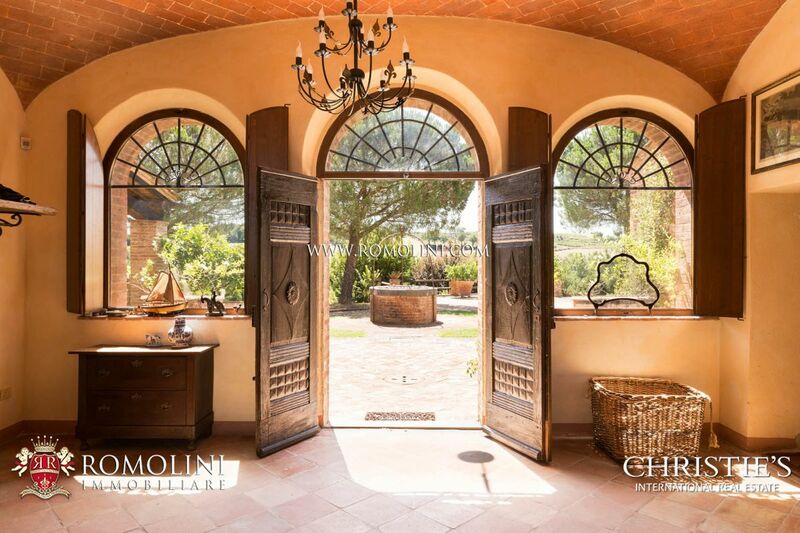 Big windows allow light to enter the building, giving it a nice brightness. 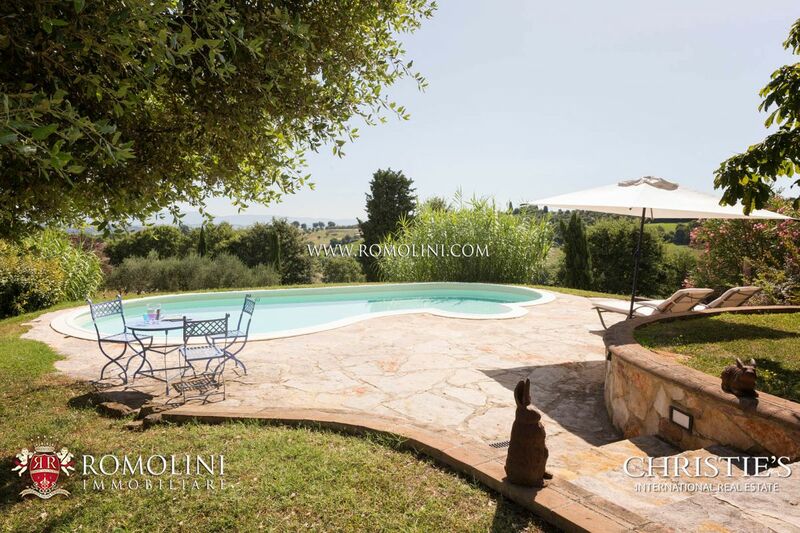 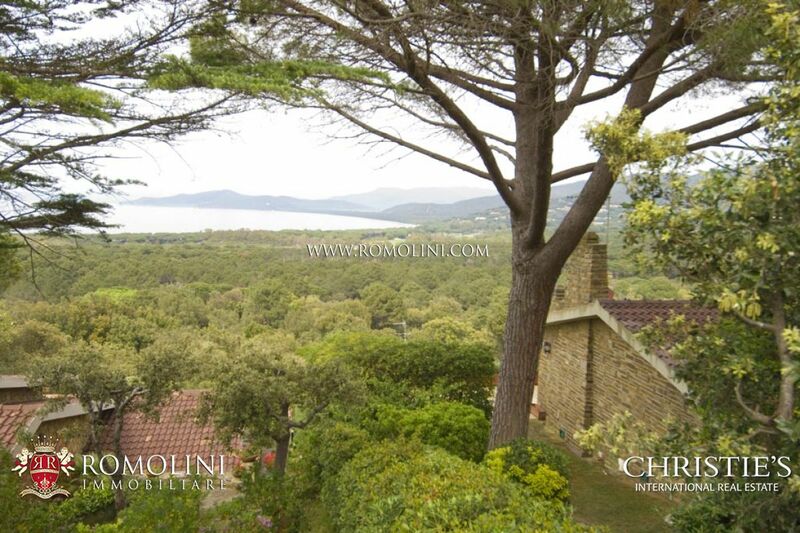 The country house is surrounded by a 1 hectare (2.5 acres) of extremely well maintained garden. 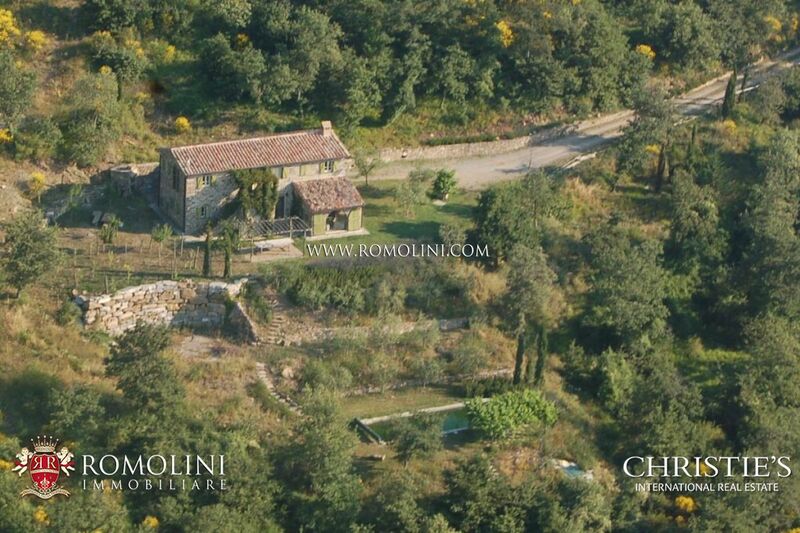 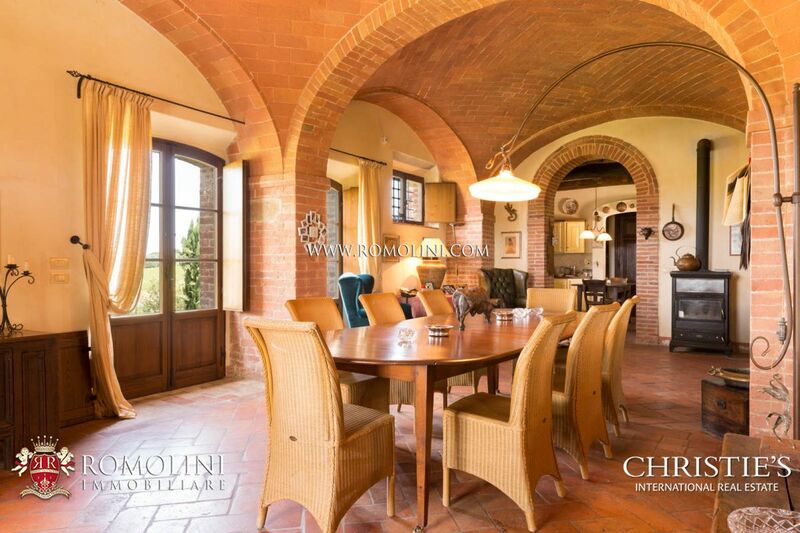 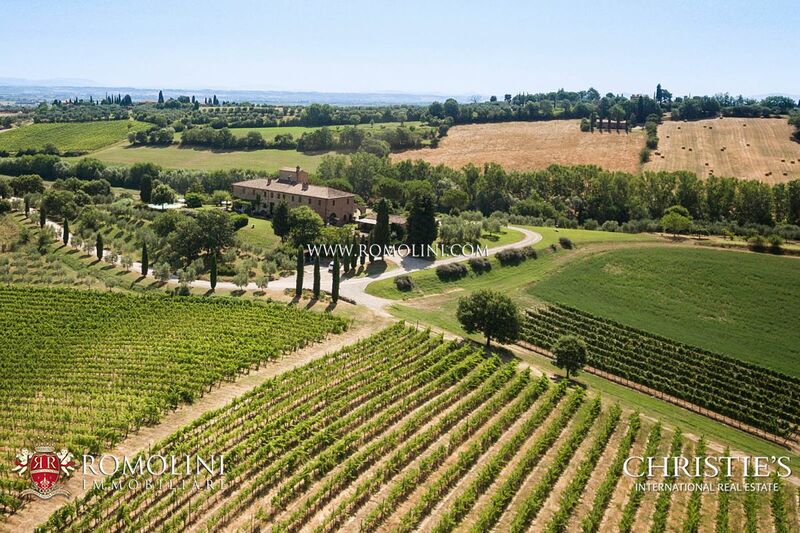 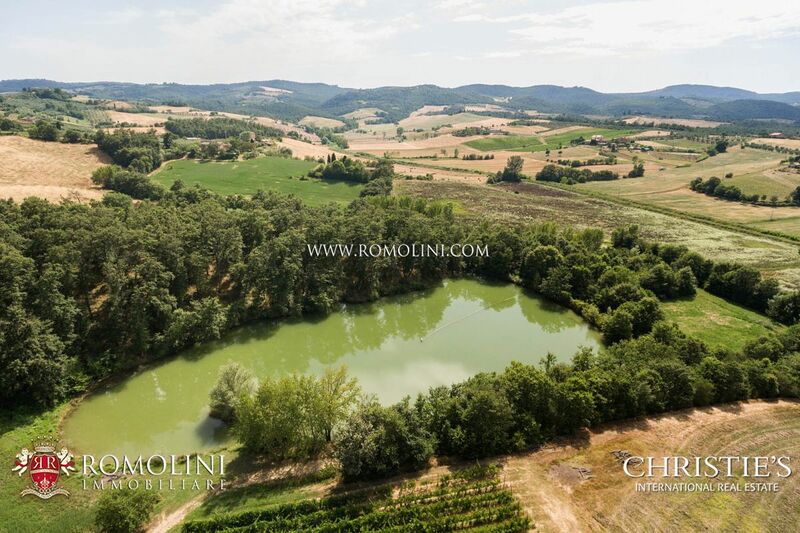 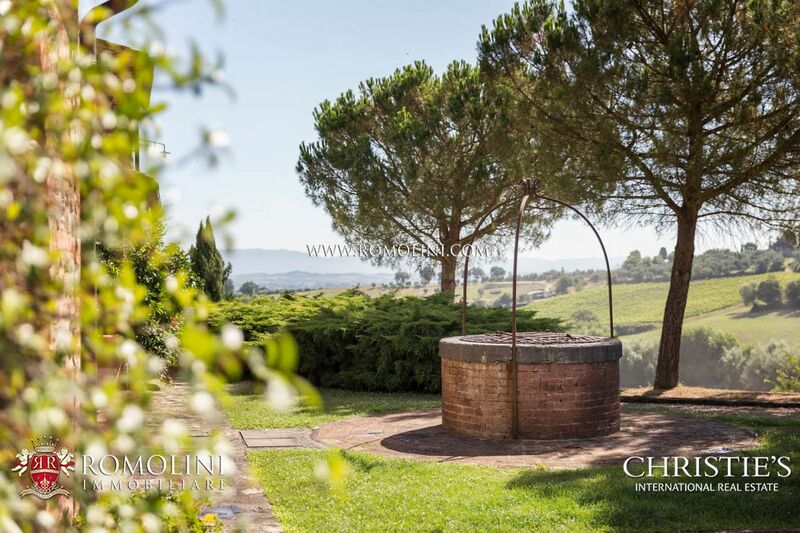 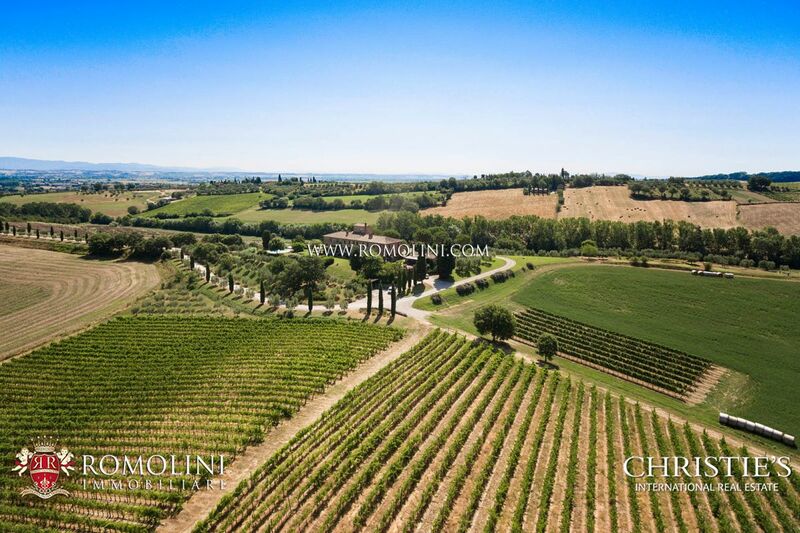 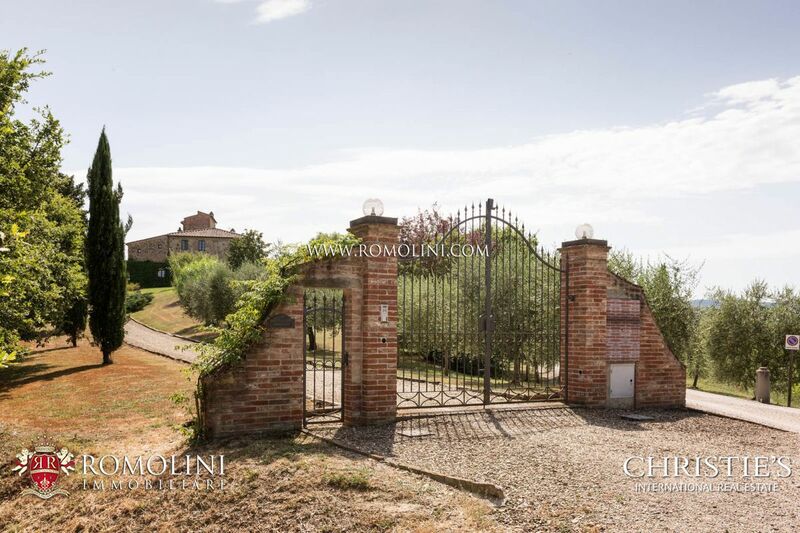 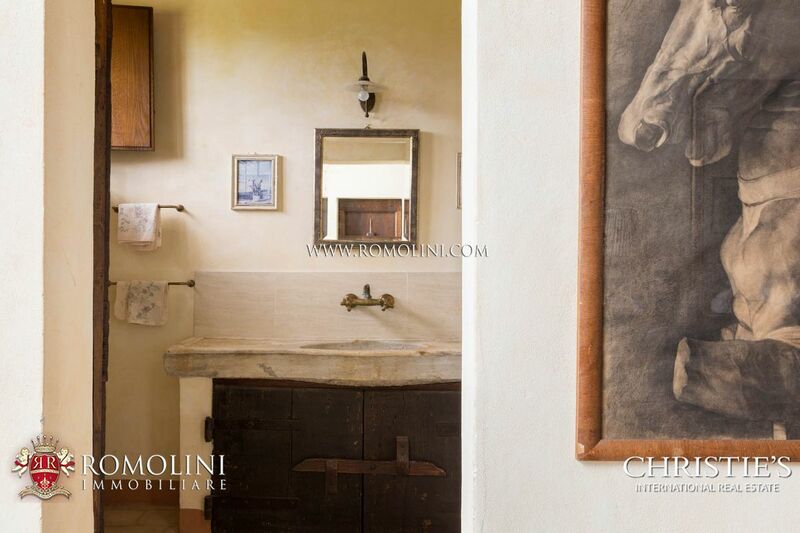 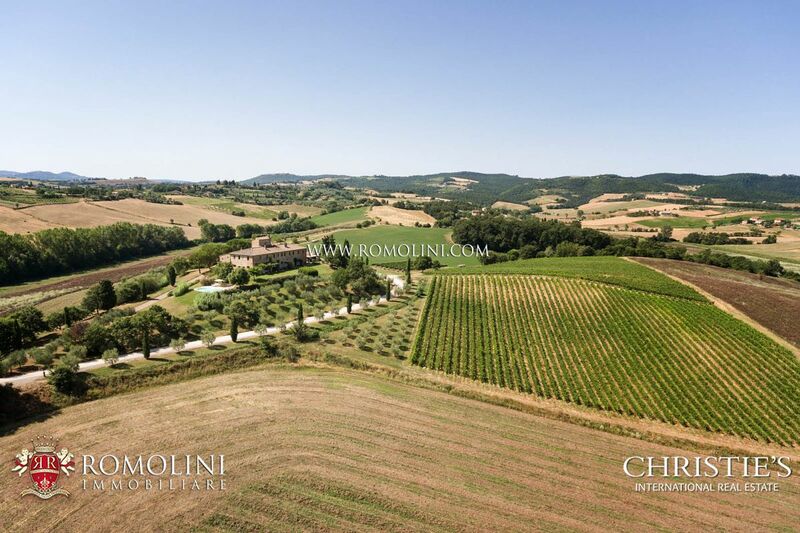 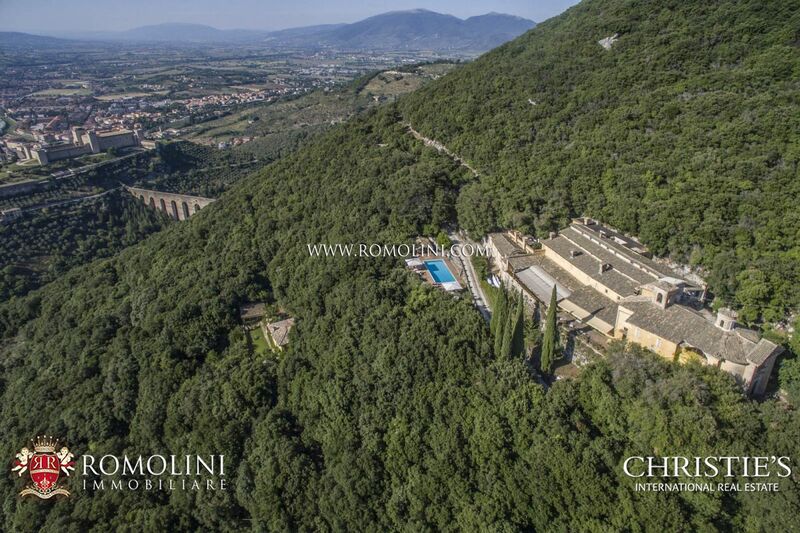 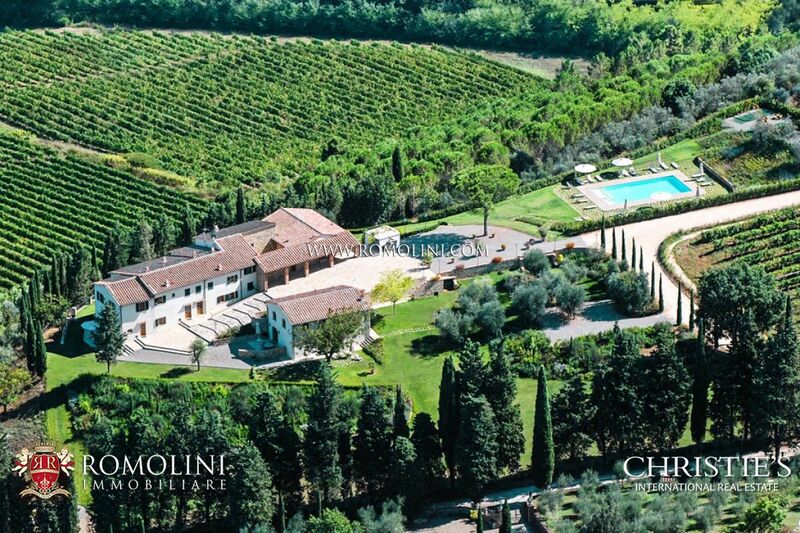 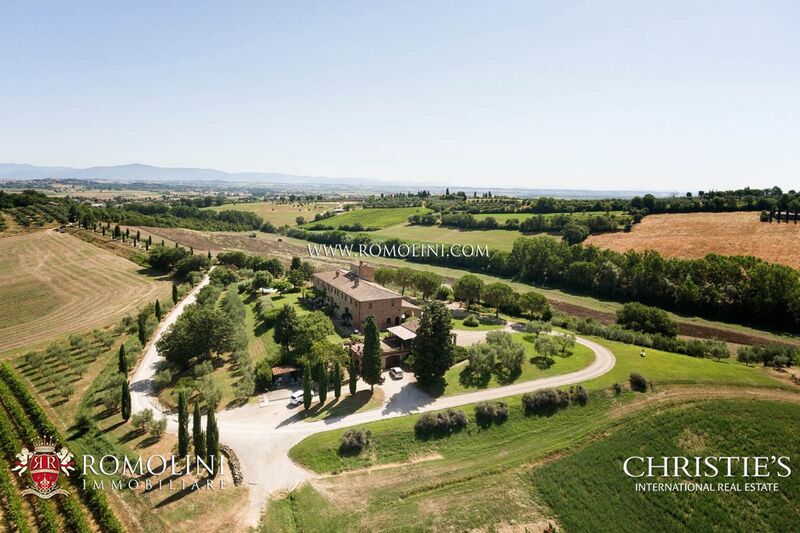 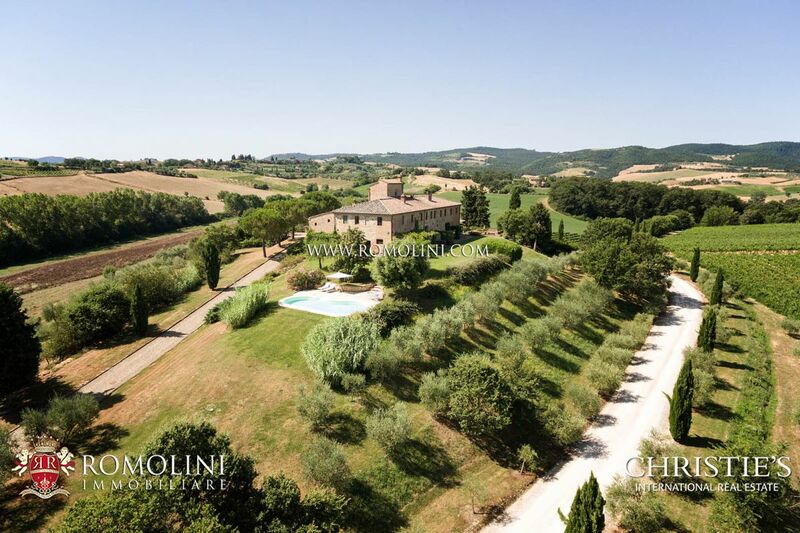 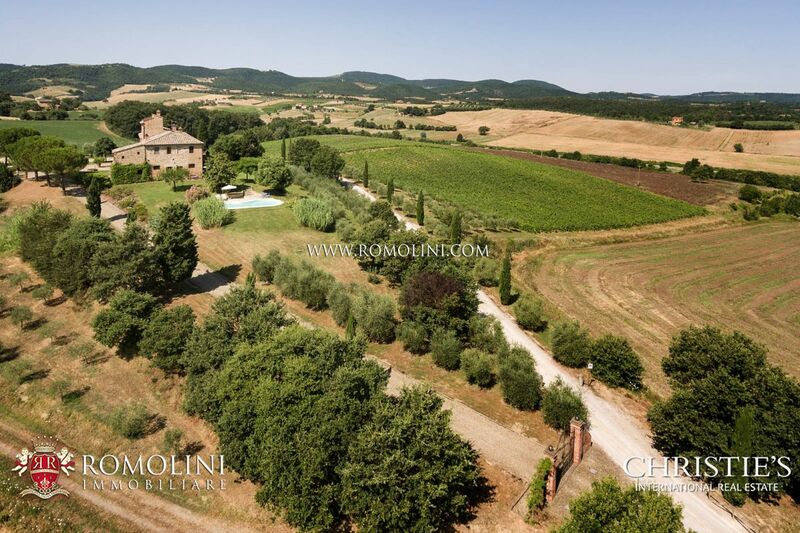 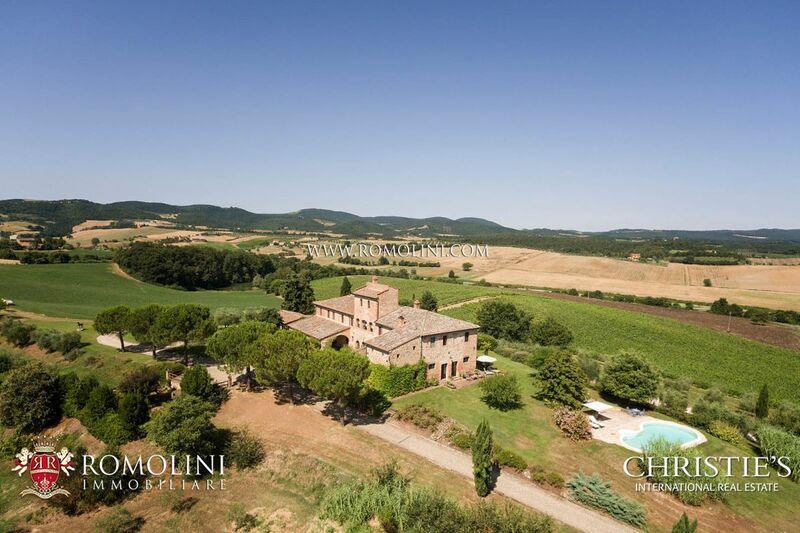 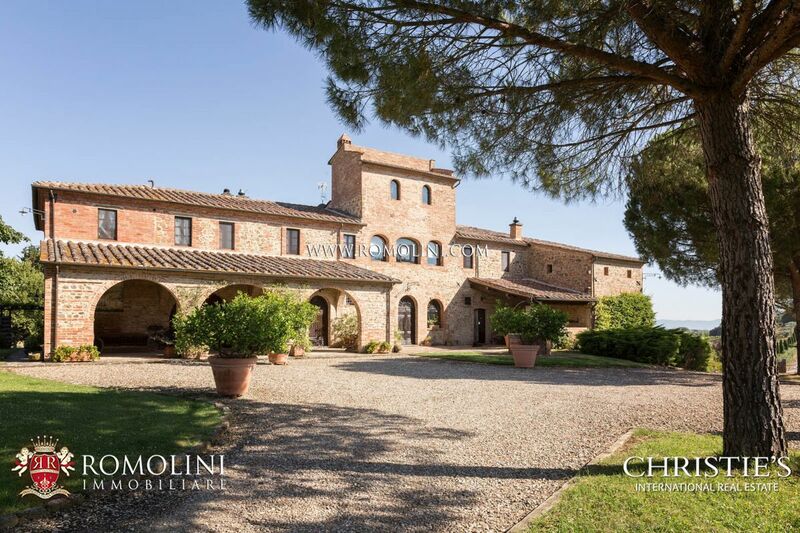 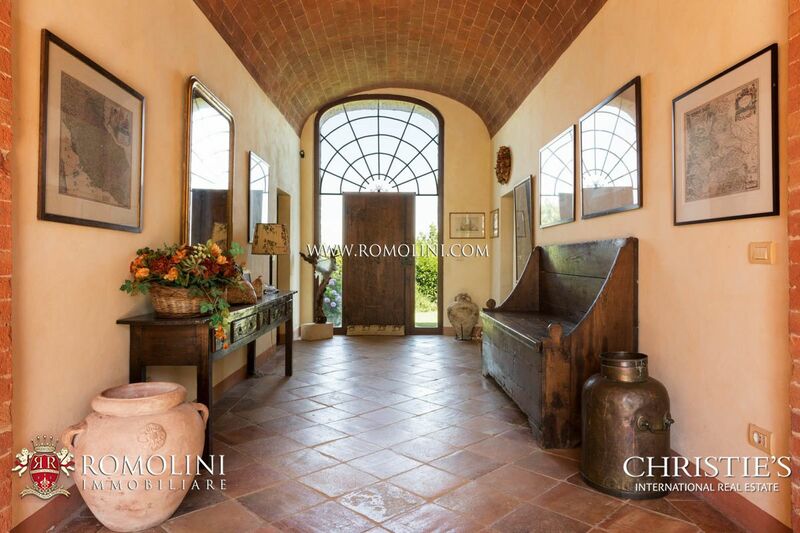 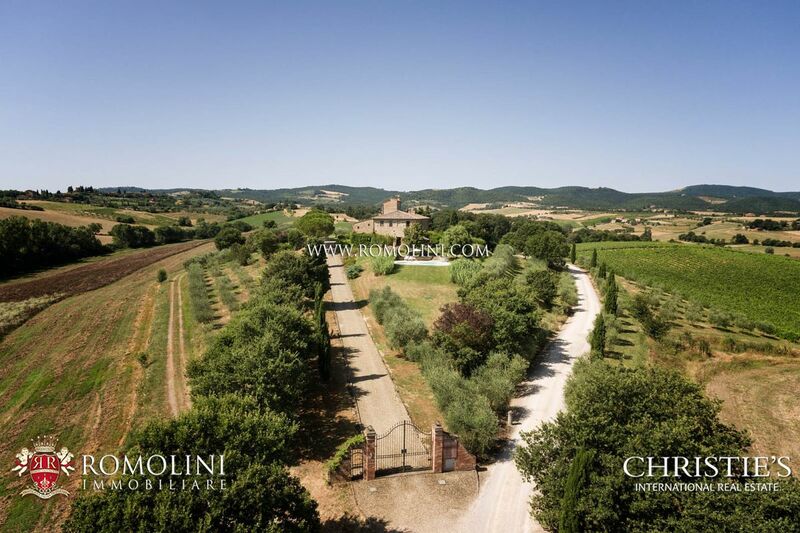 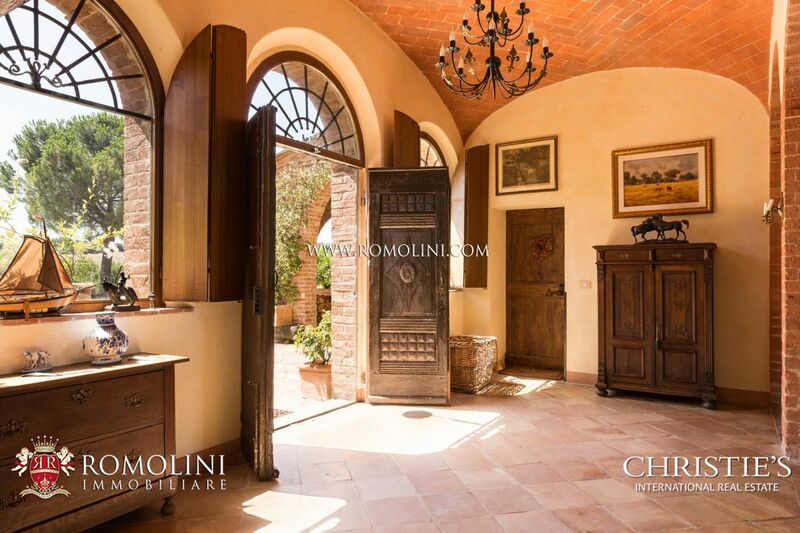 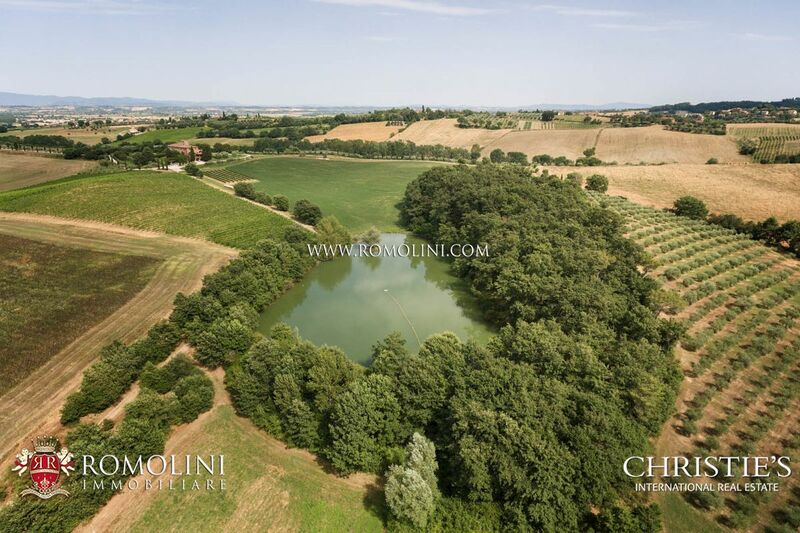 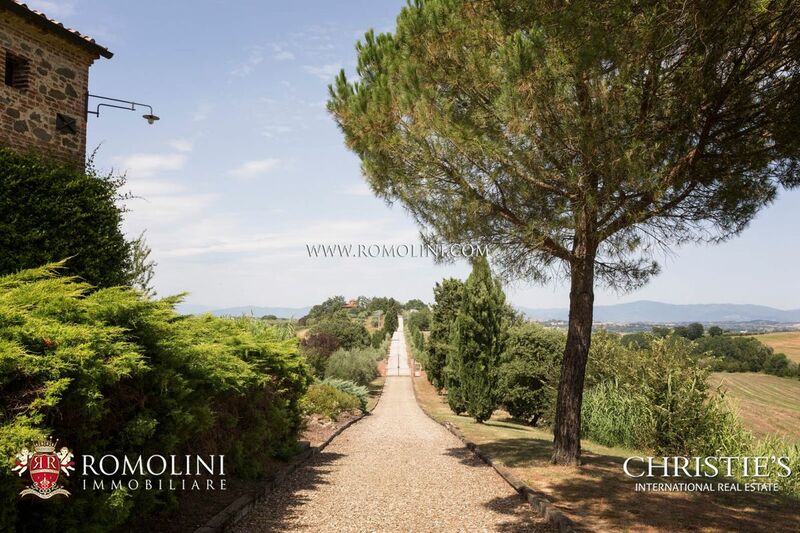 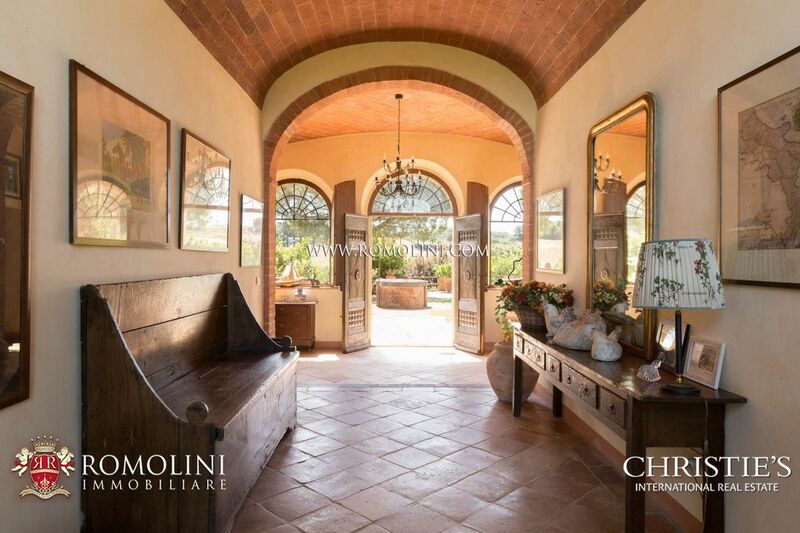 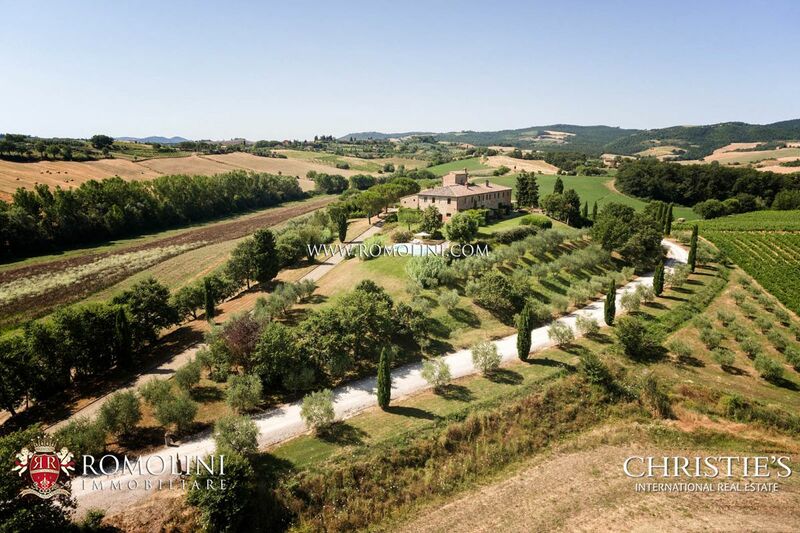 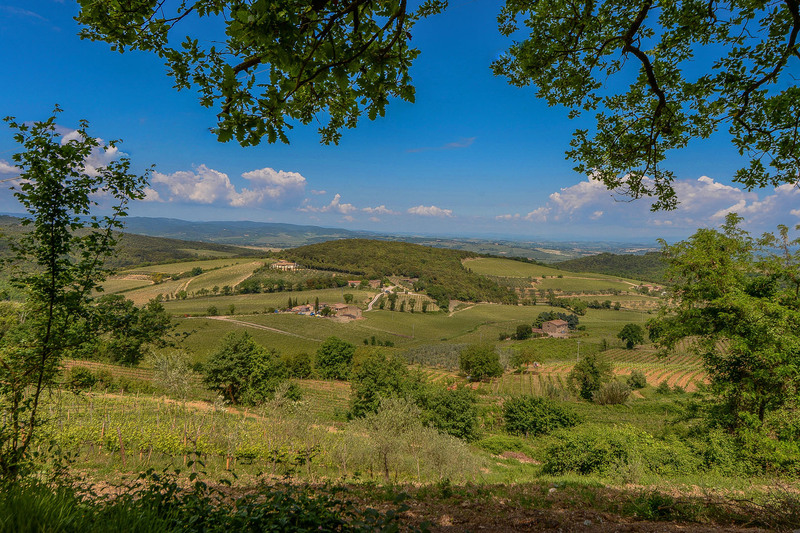 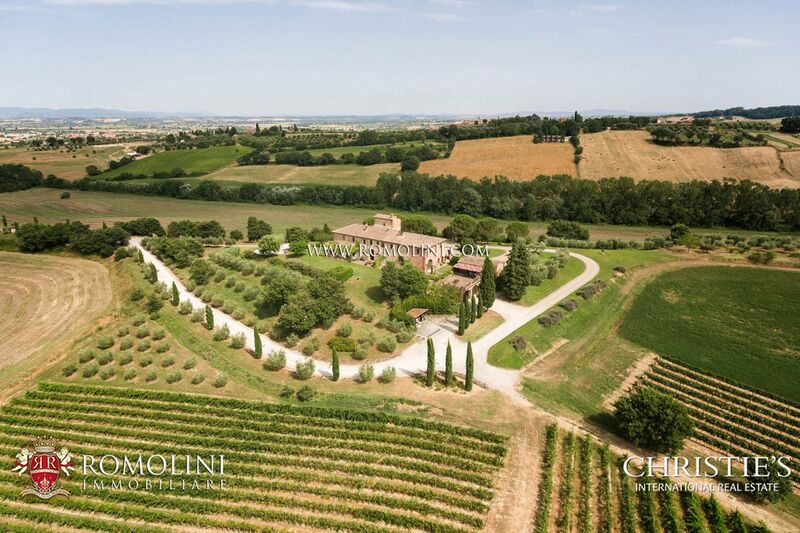 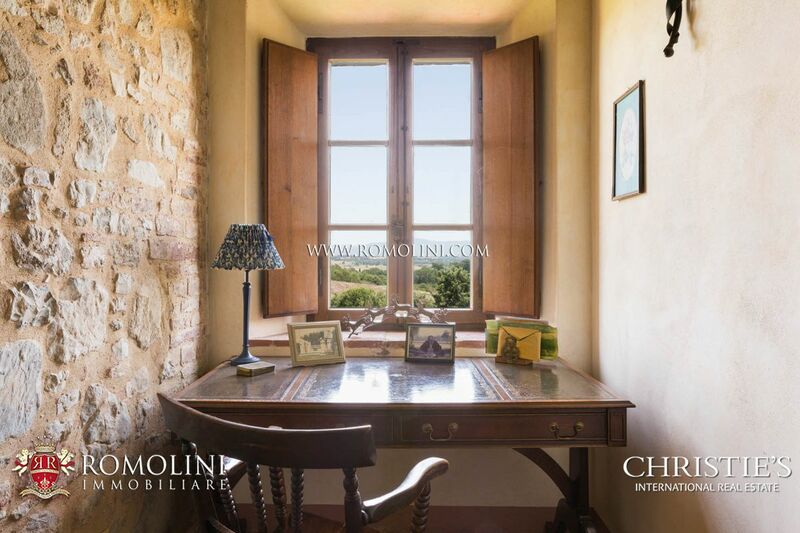 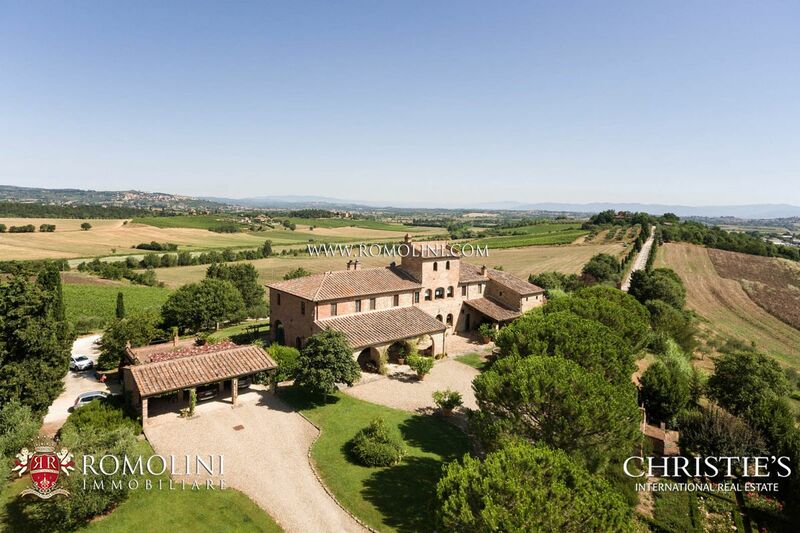 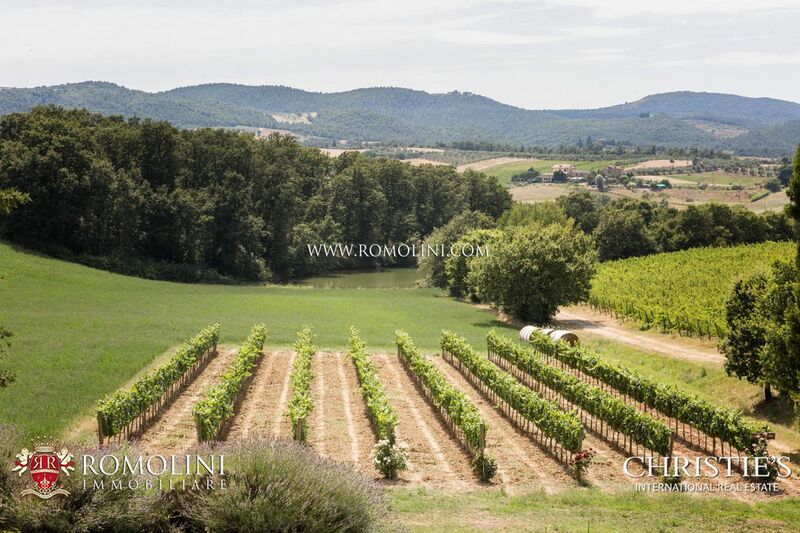 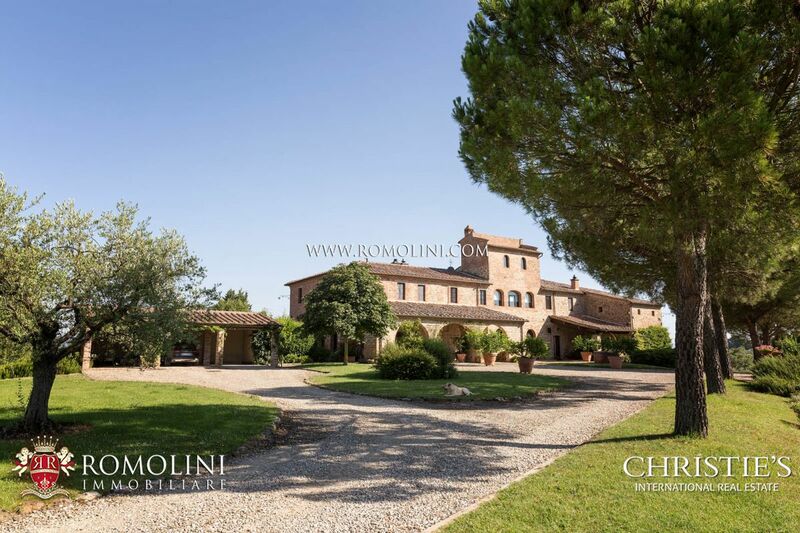 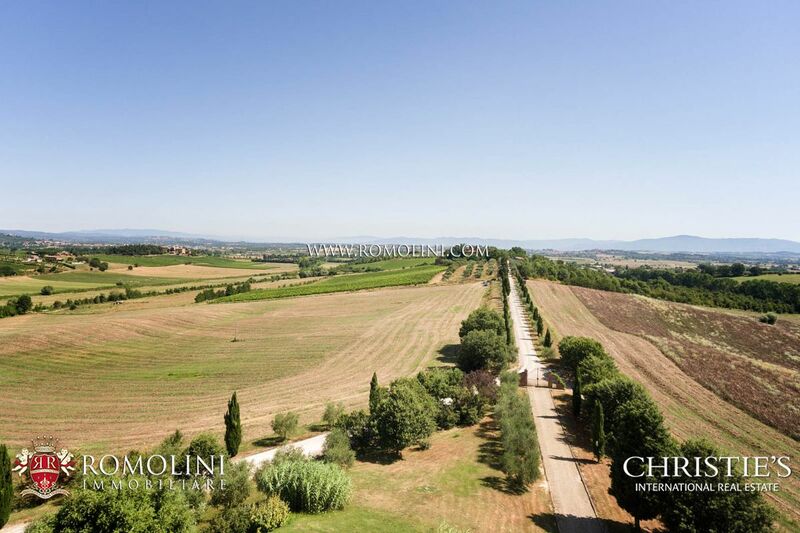 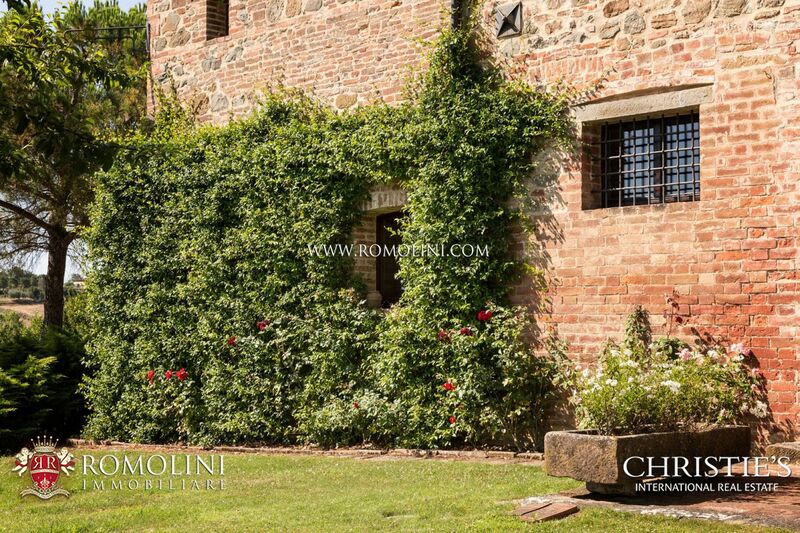 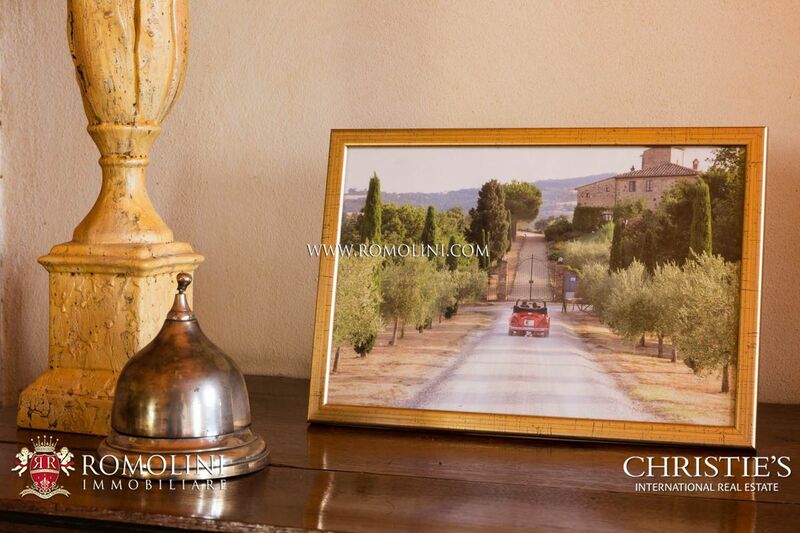 The property is contoured by 35 hectares (86 acres) terrain including a 2.5 hectares (6 acres) vineyard for the prestigious Chianti Colli Senesi DOCG wine, an olive grove of 760 trees, a private lake and ample agricultural land. 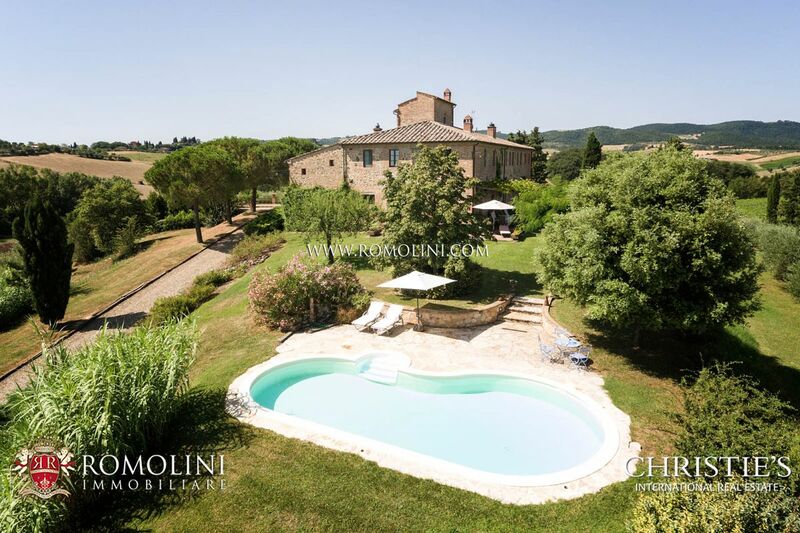 Still outside, you can find a nice 10 x 5 m swimming pool located on a panoramic position with a wonderful visa on the surrounding hills. 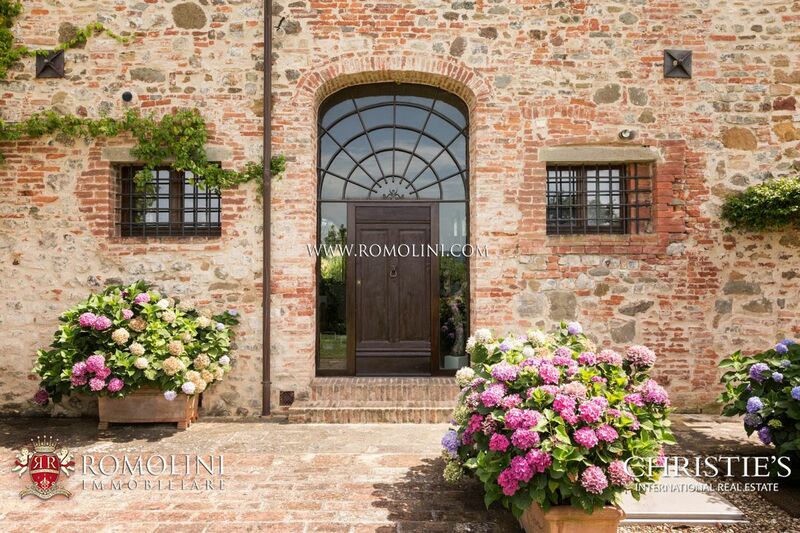 This country house is the ideal private residence, but its size allows the owner to easily accommodate his guests. 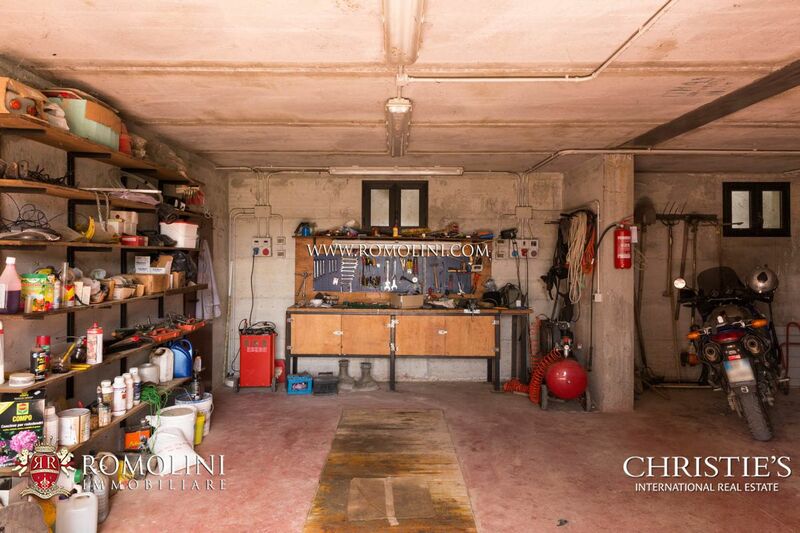 If one wants to expand the surface of the residence, it is possible to rework the indoor parking lot and unify the main residence with the janitor’s quarter by opening a door in the kitchen at the first floor. 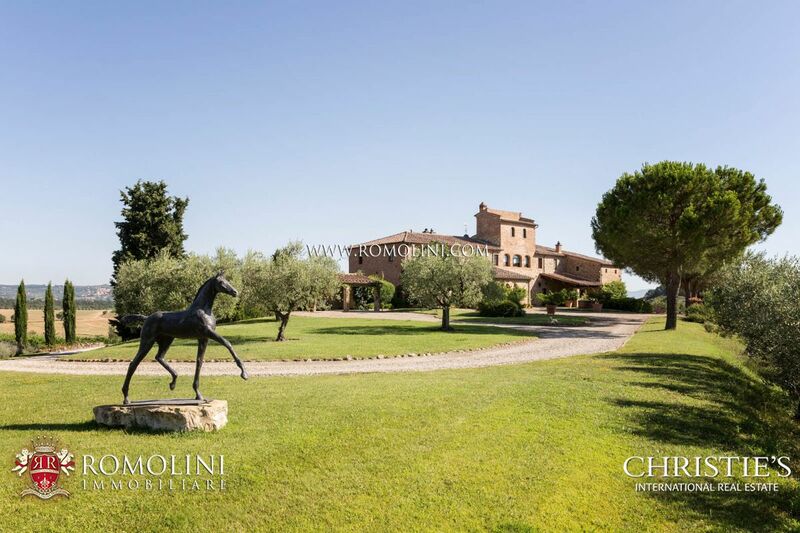 The amount of land surrounding the building makes it suitable for raising and breeding horses, which would have plenty of space to live and move.